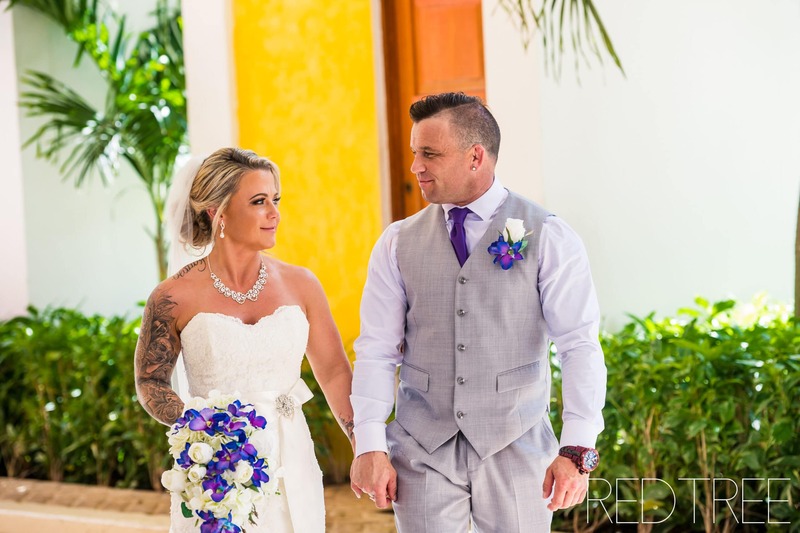 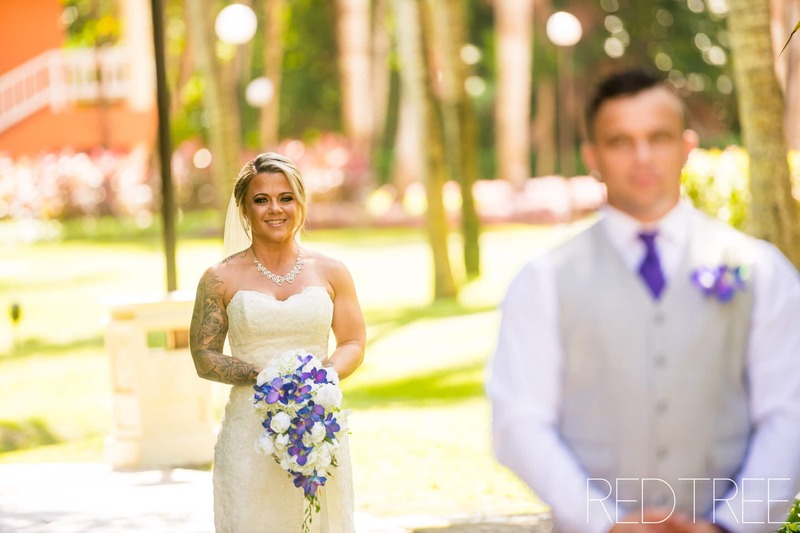 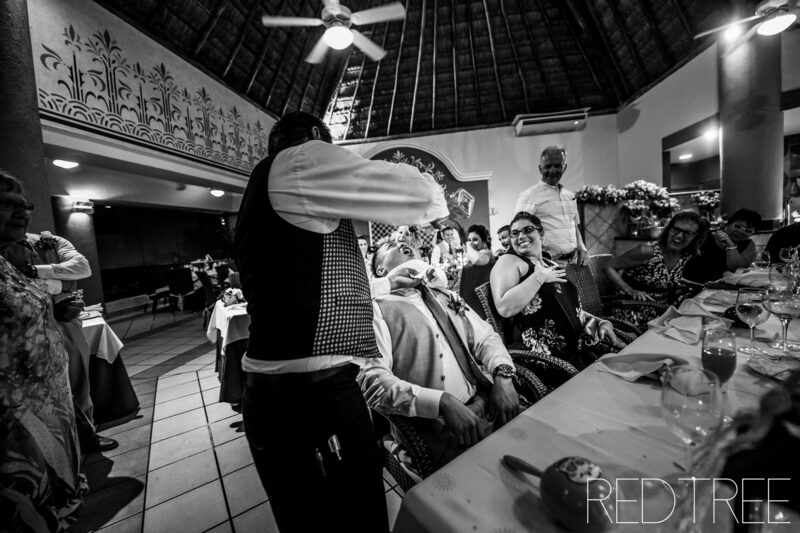 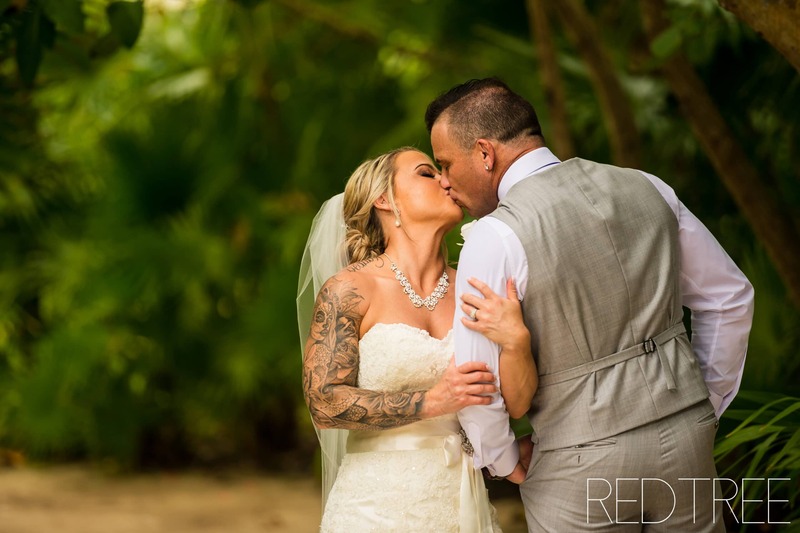 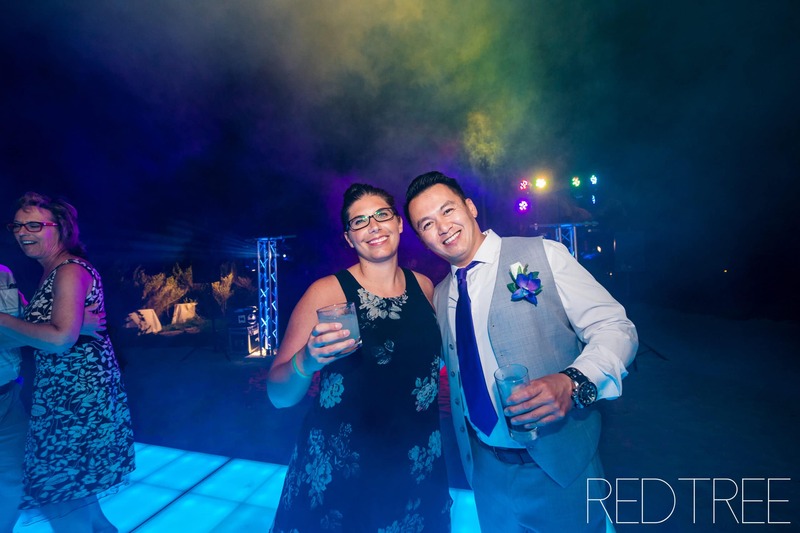 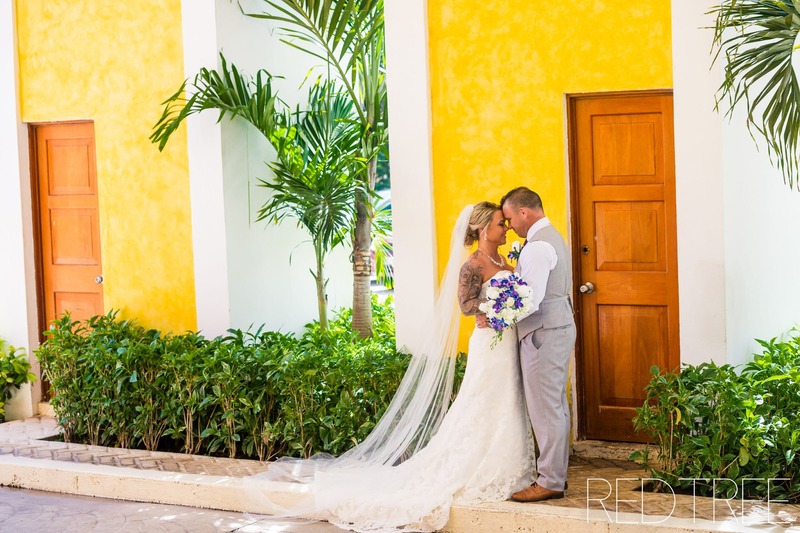 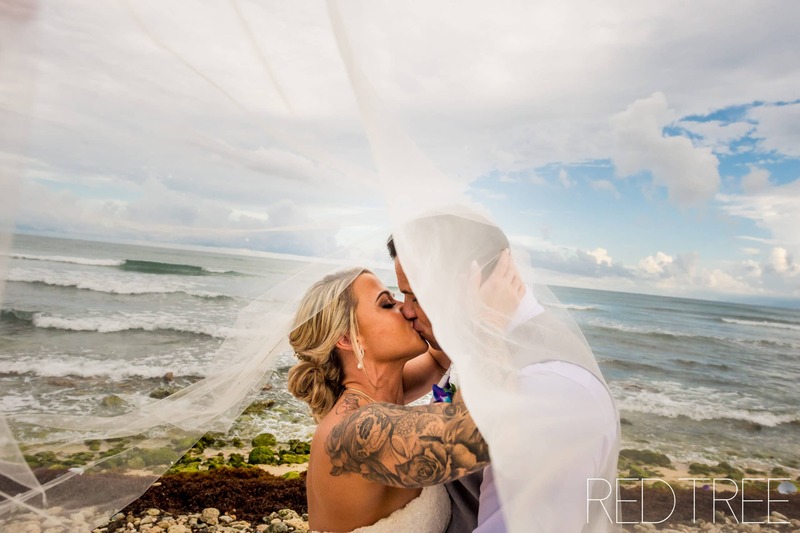 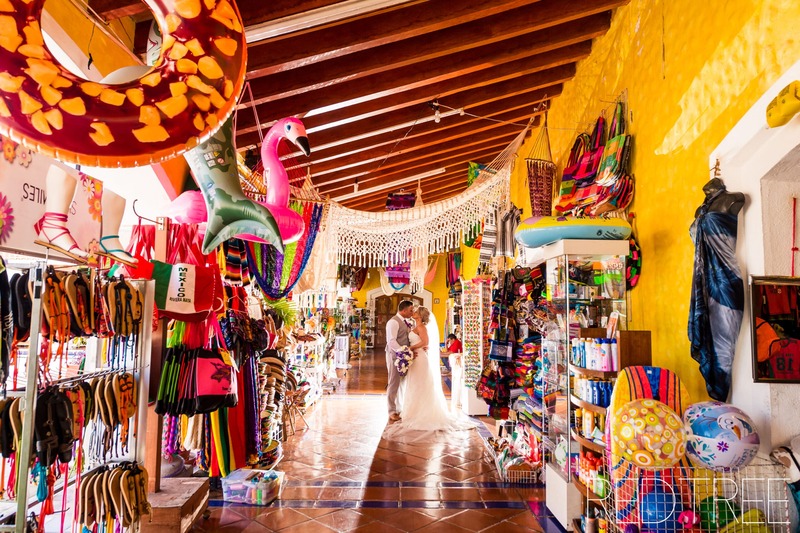 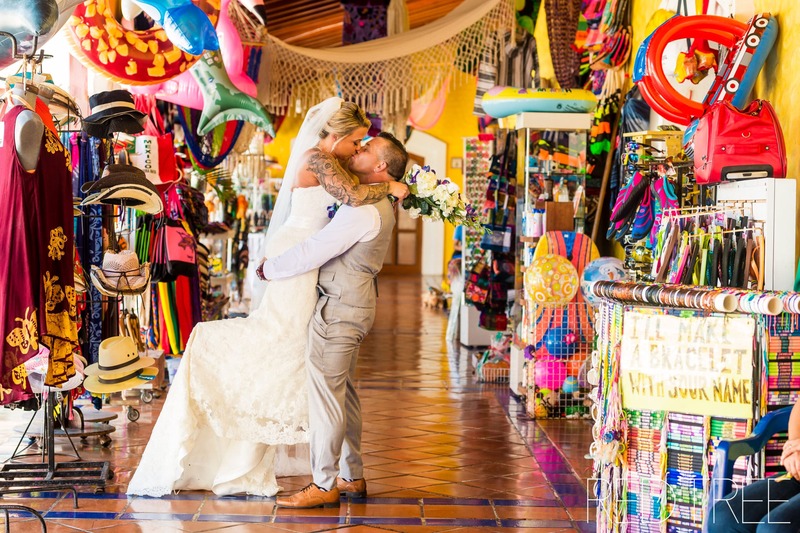 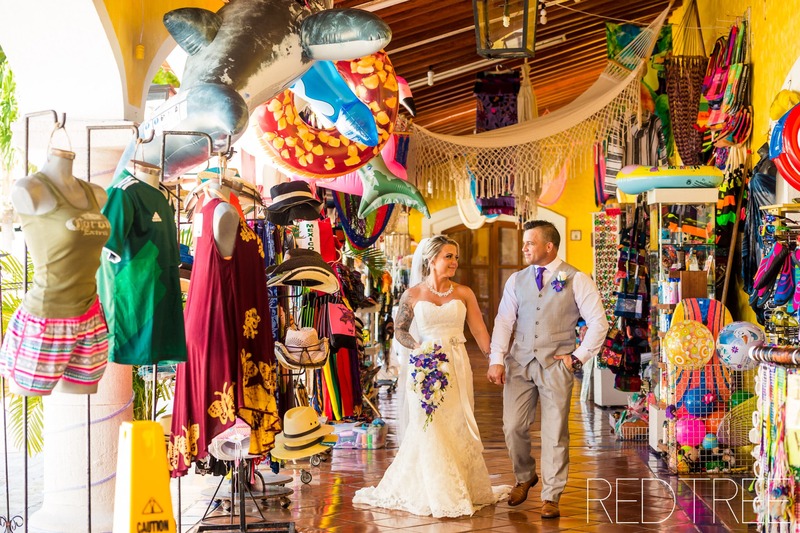 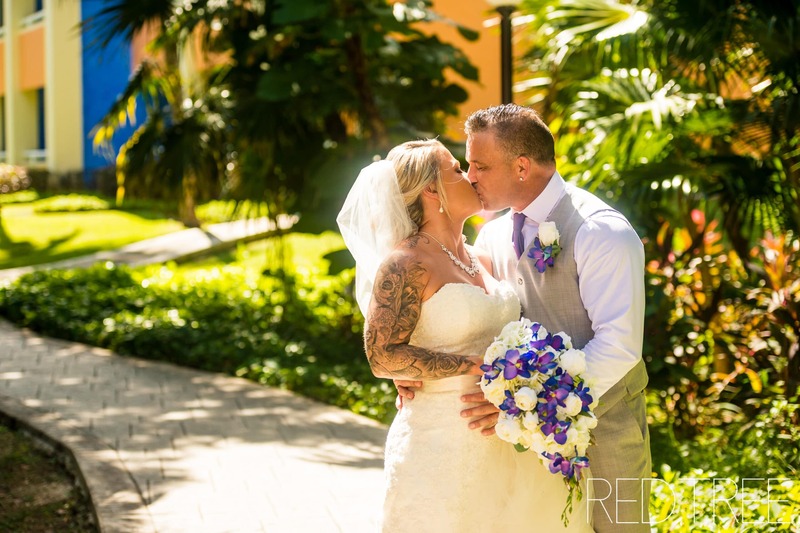 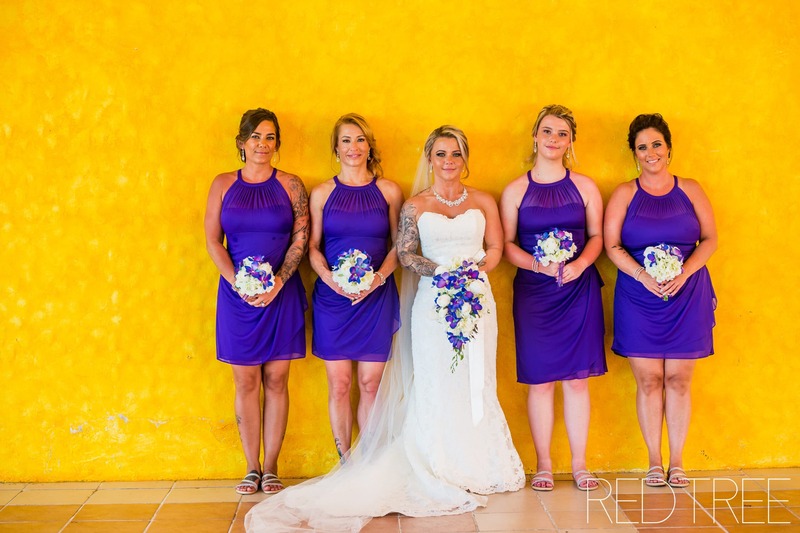 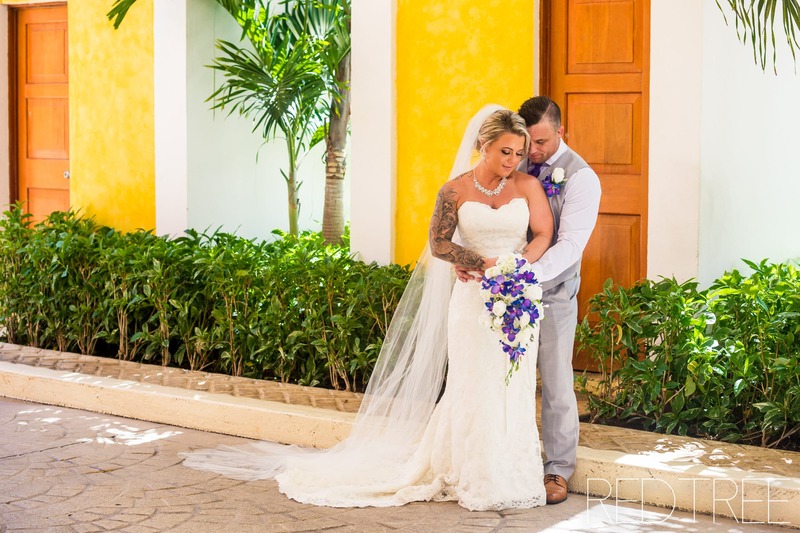 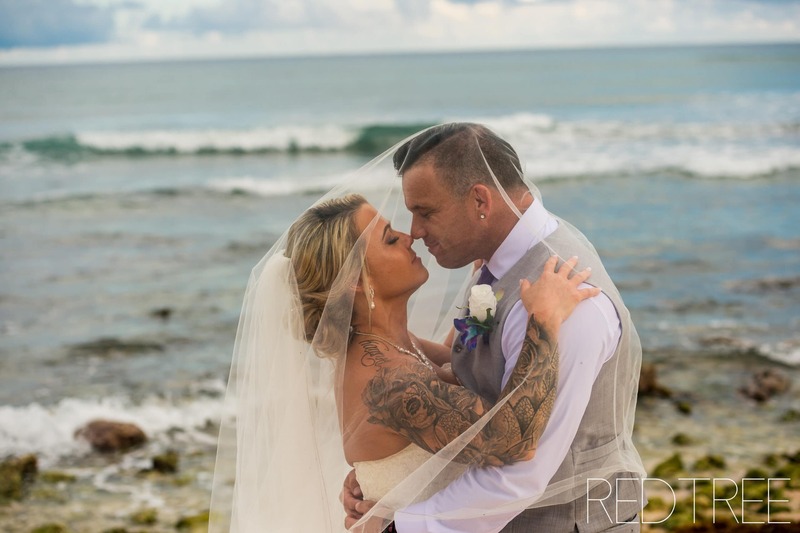 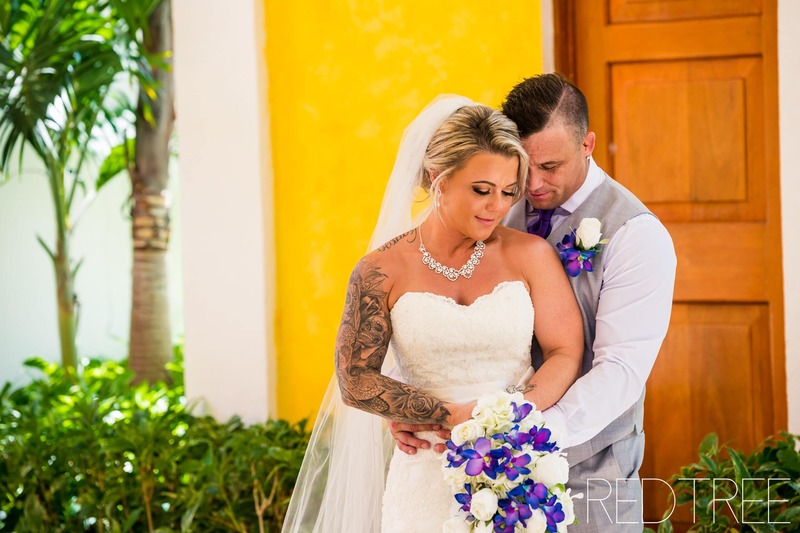 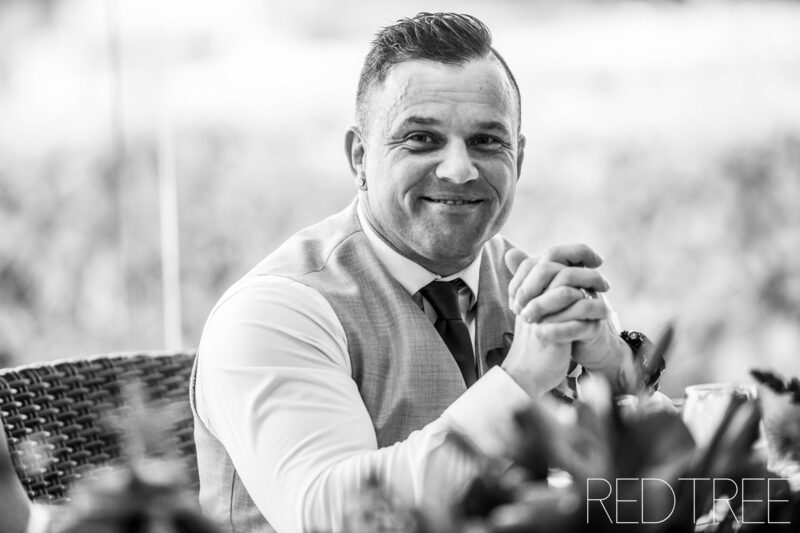 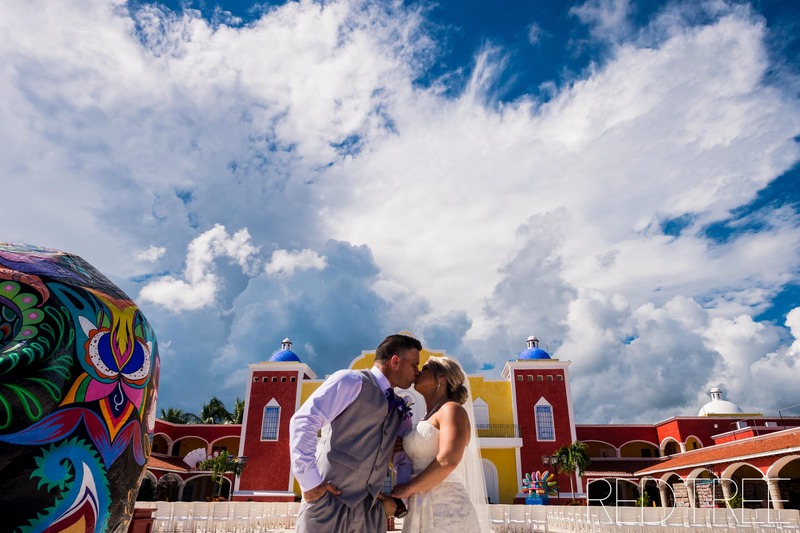 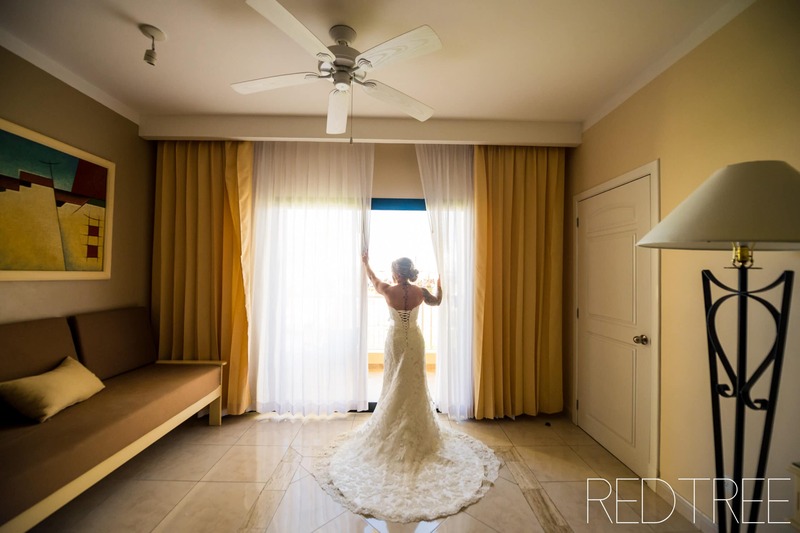 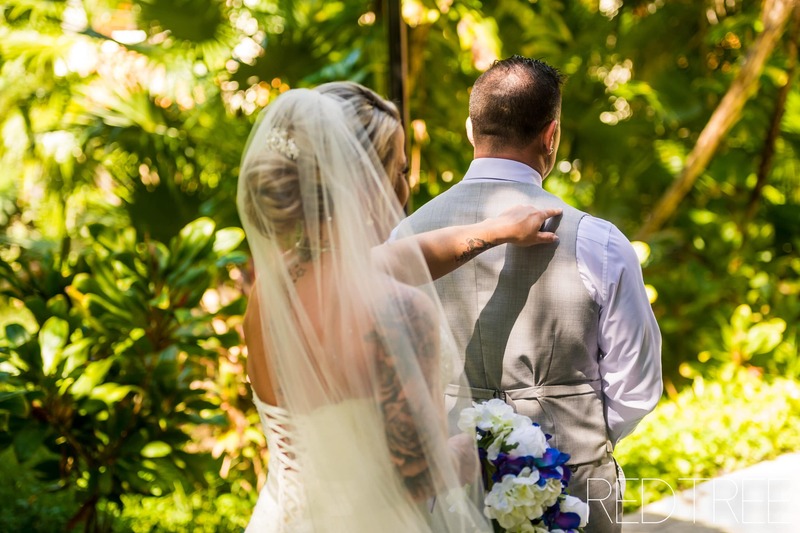 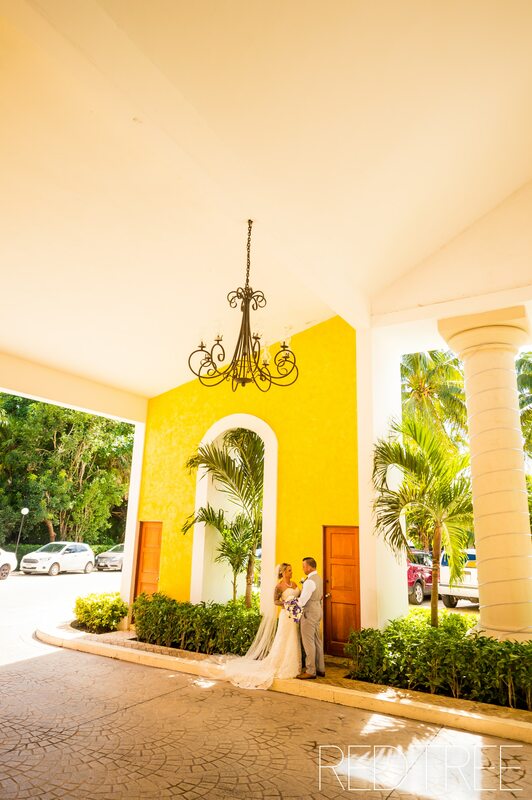 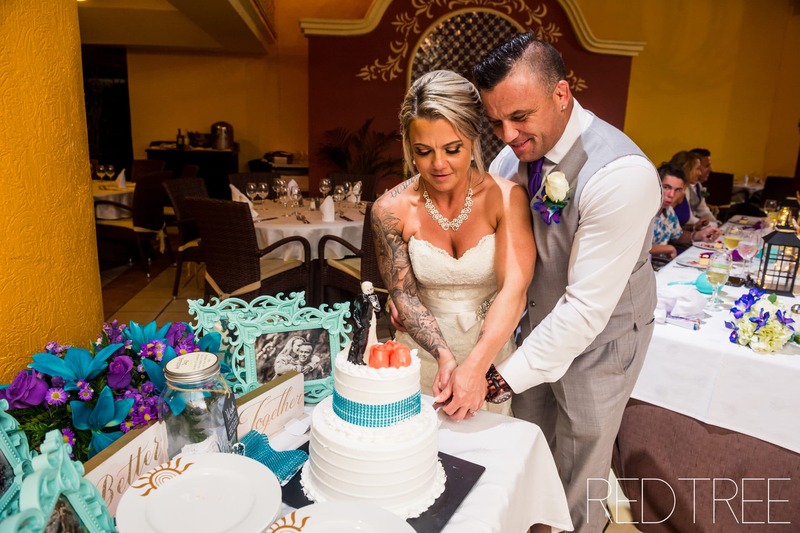 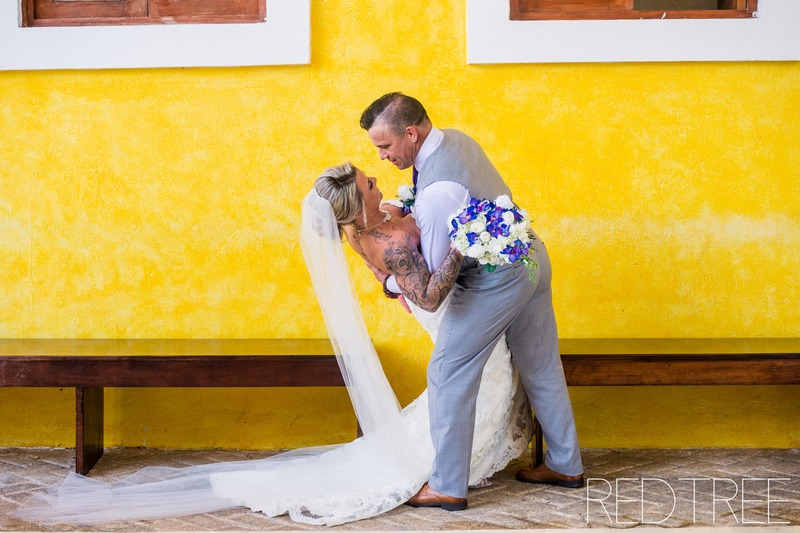 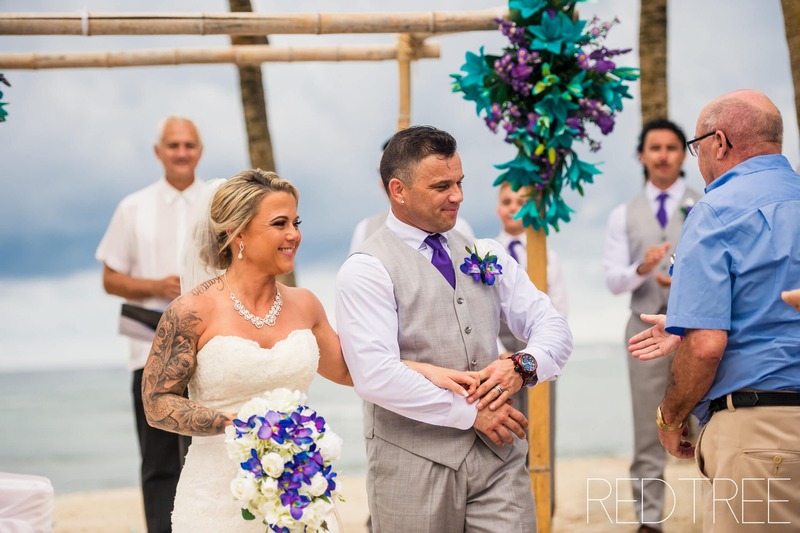 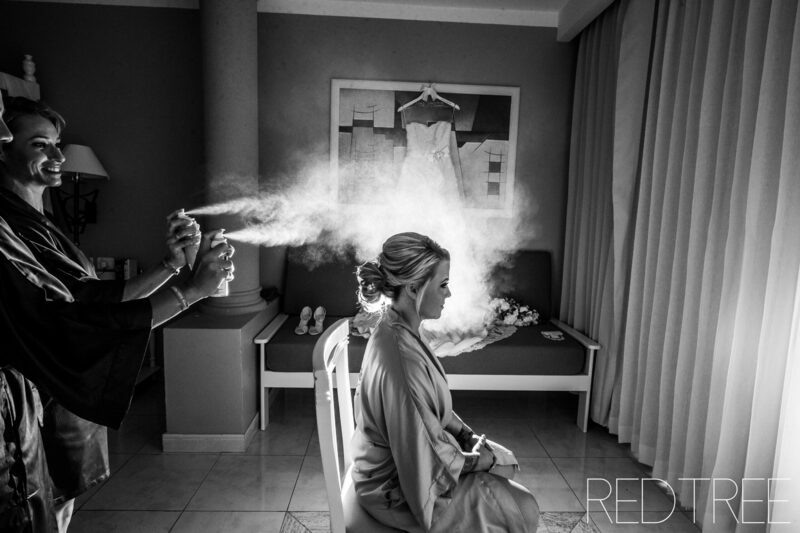 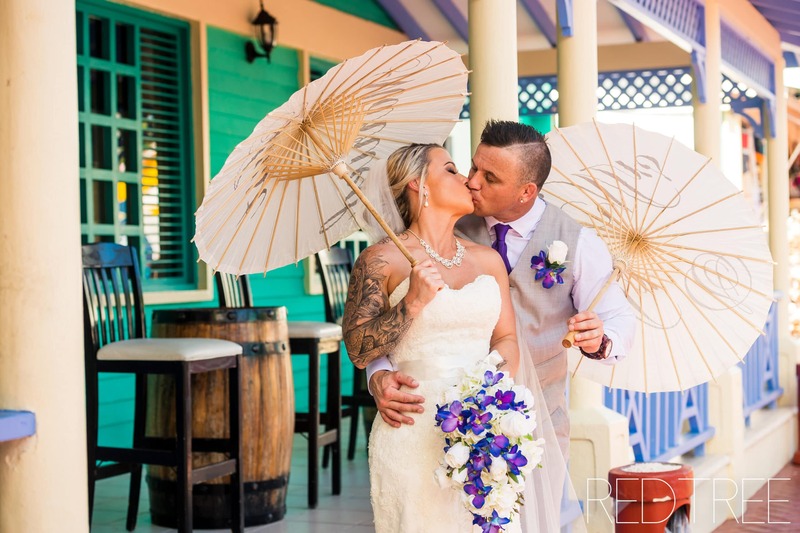 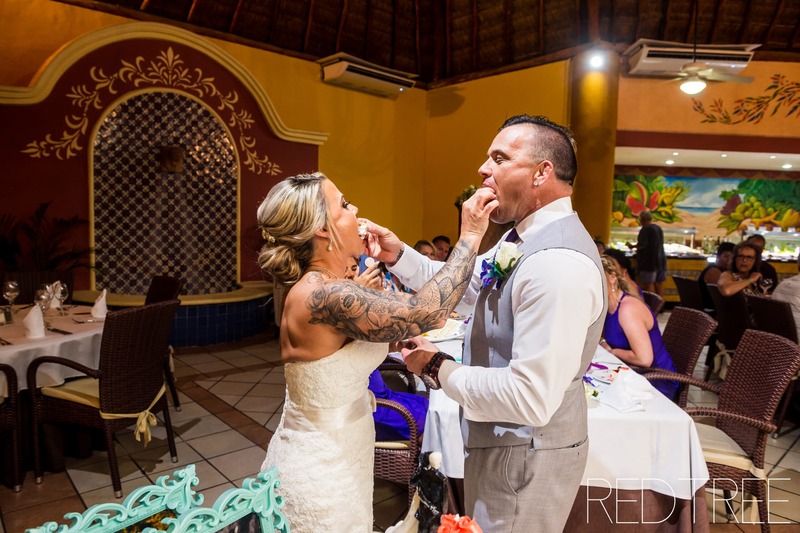 I originally met Amy & Corey at Kayla & Mike’s destination wedding in April – so when I heard that they were also getting married by Cancun, I knew that I wanted to come along. 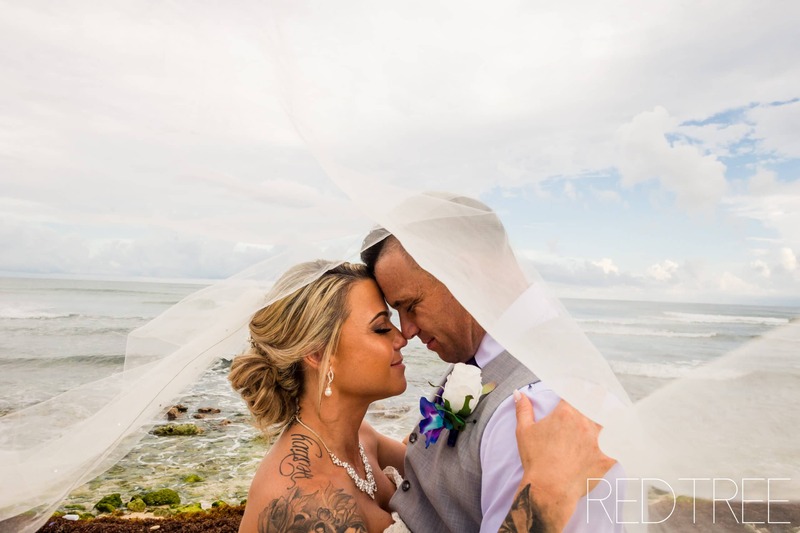 Not only was I able to get to know Kayla & Mike more (after spending a second week in paradise with them in one year) but I was able to get to know Amy, Corey, and all of their closest friends and family. 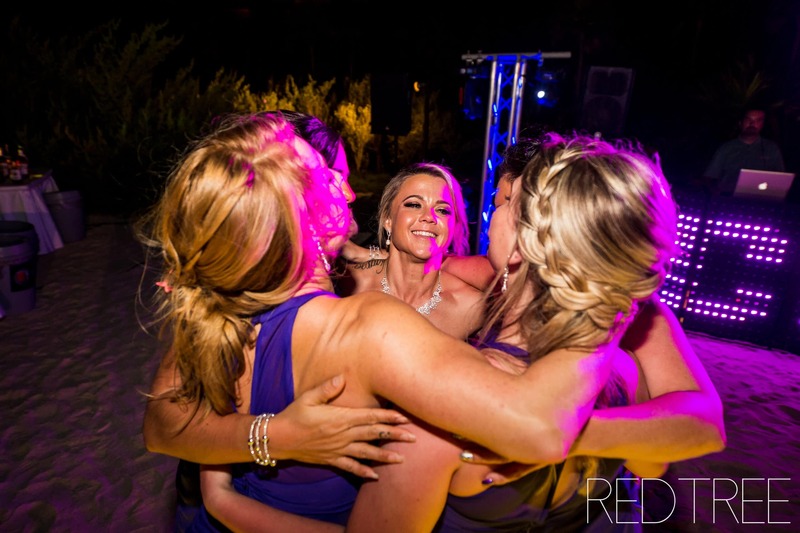 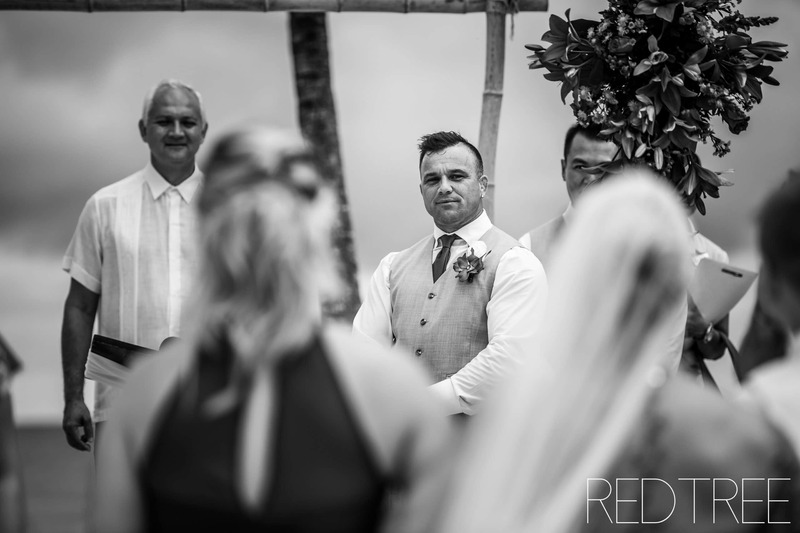 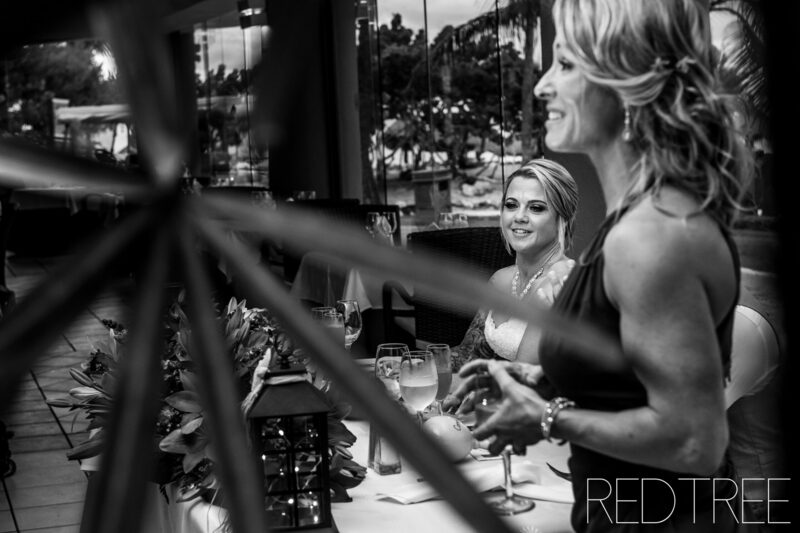 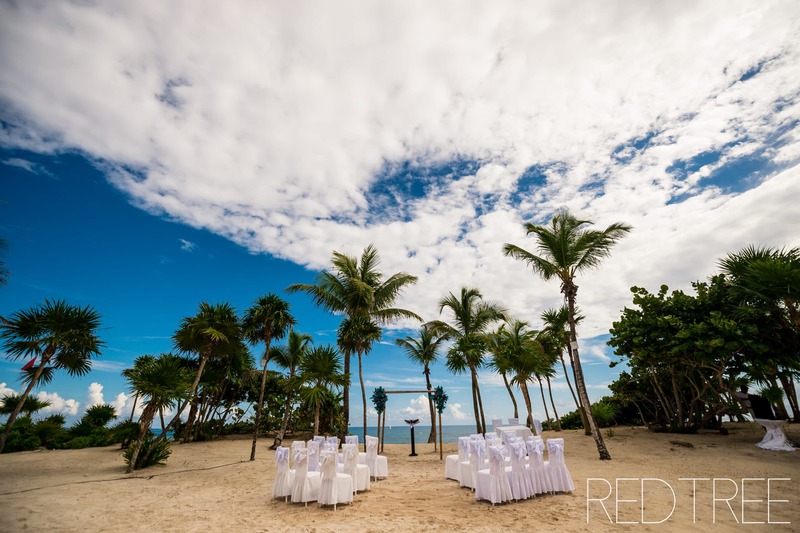 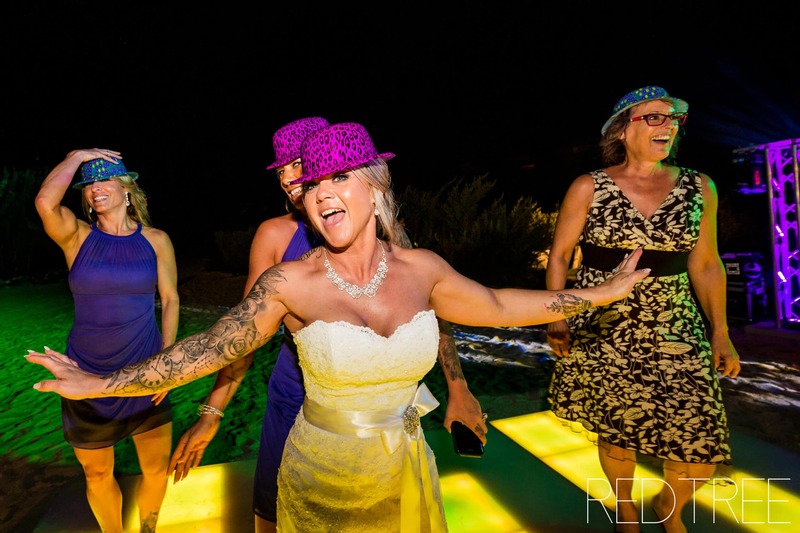 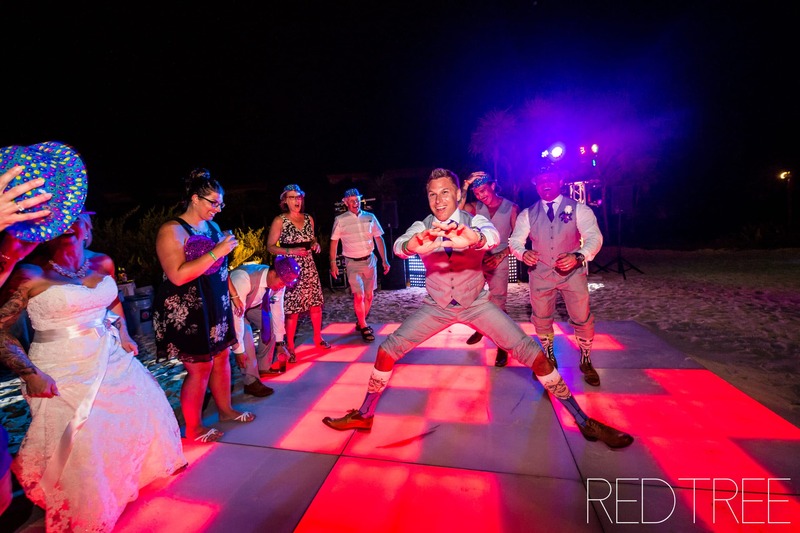 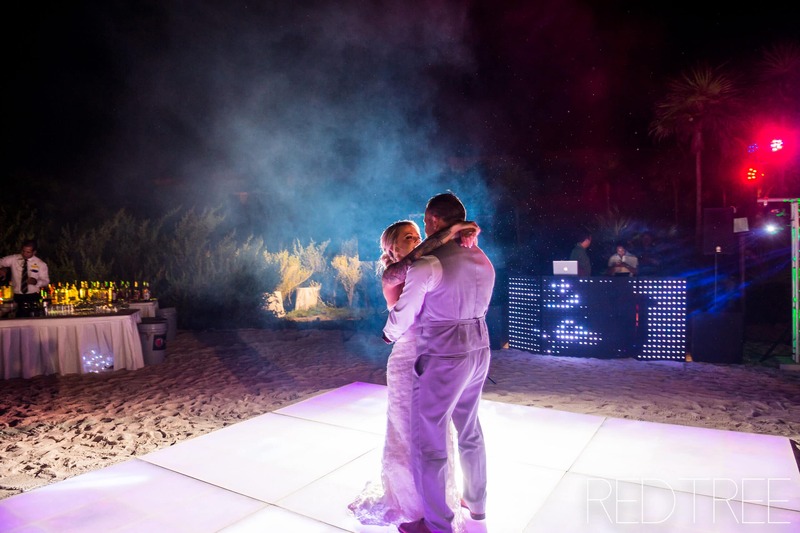 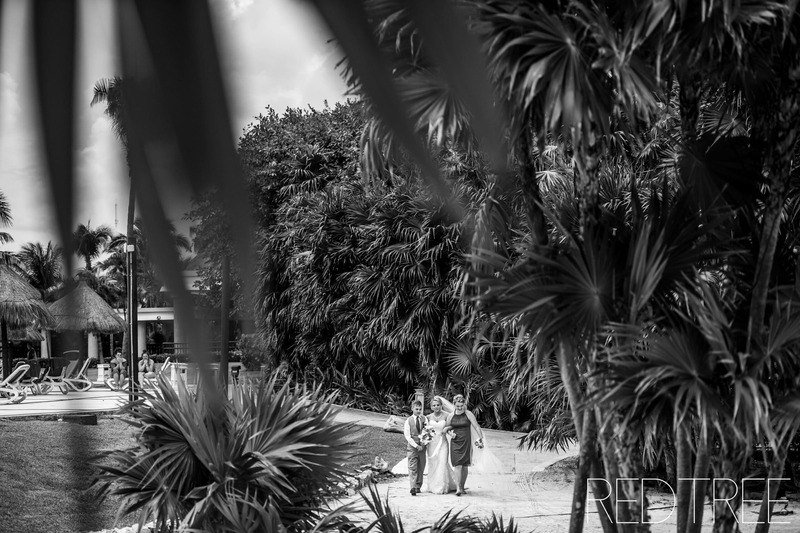 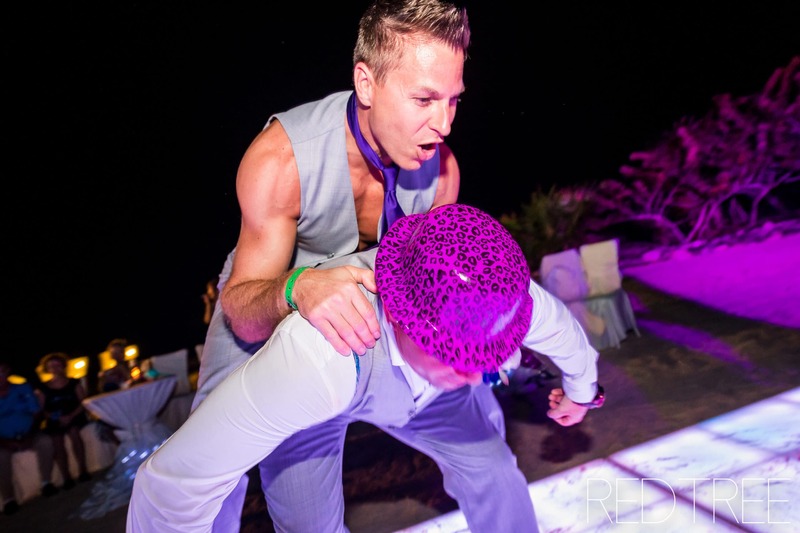 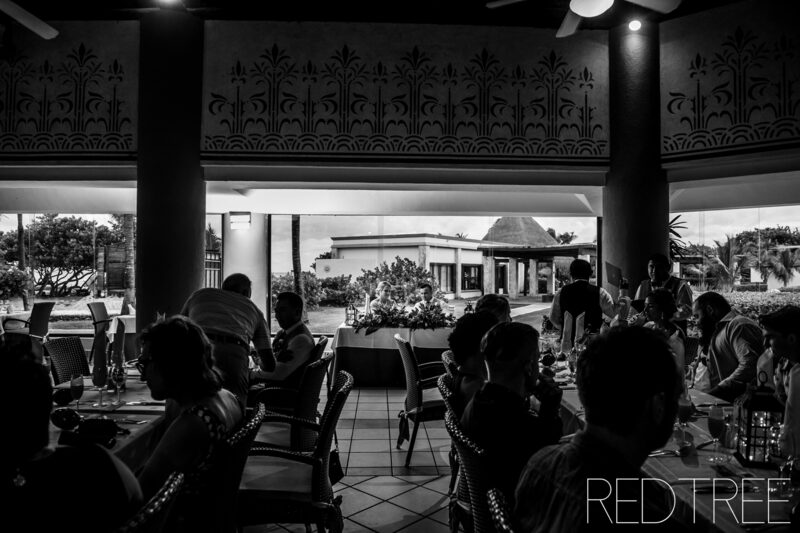 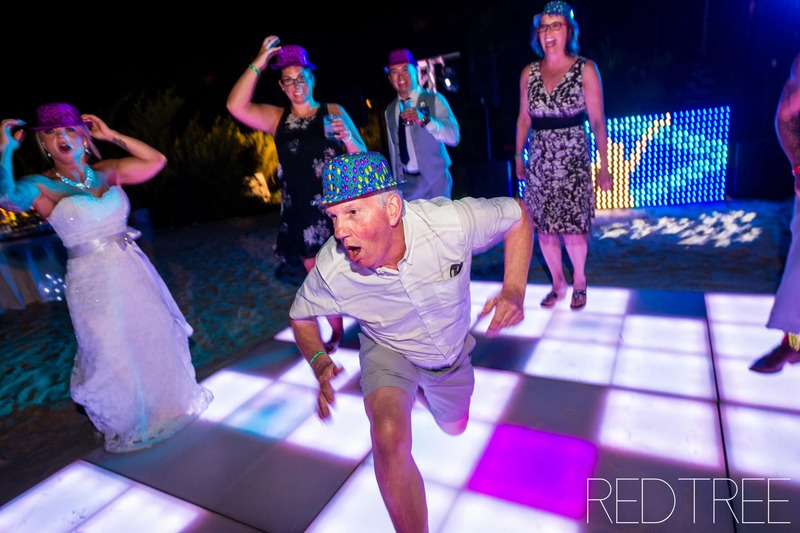 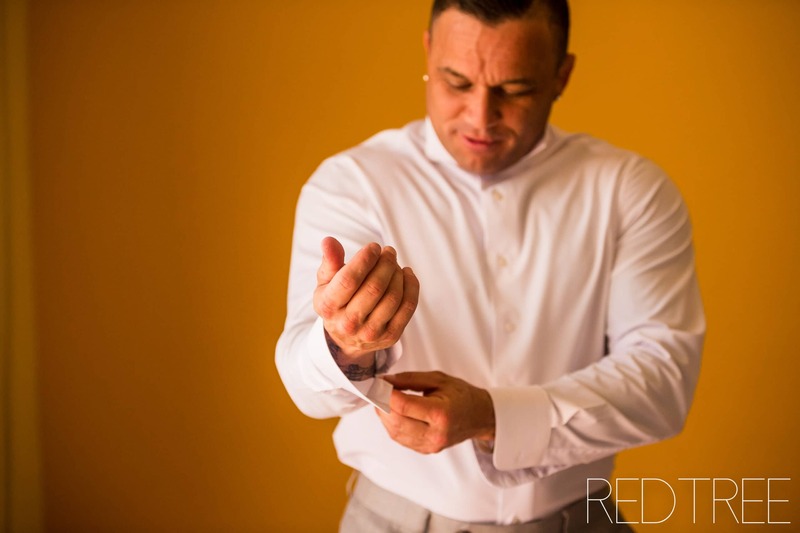 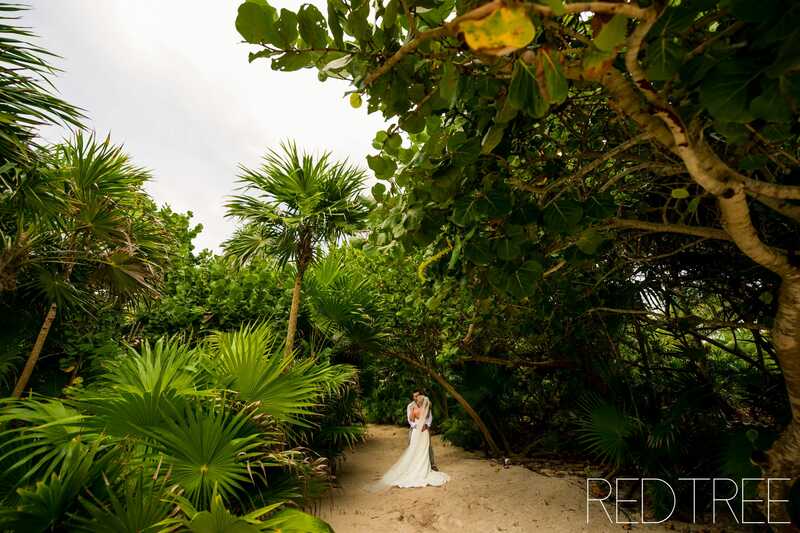 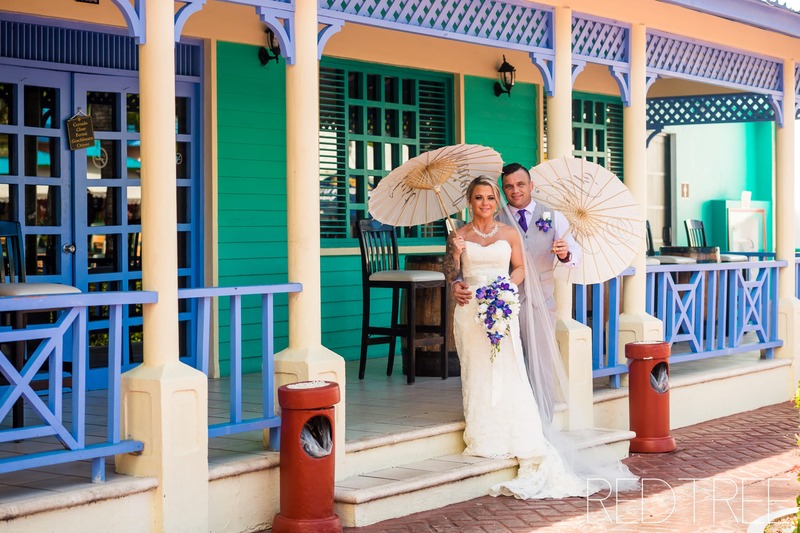 I love weddings – but I ESPECIALLY love destination weddings. 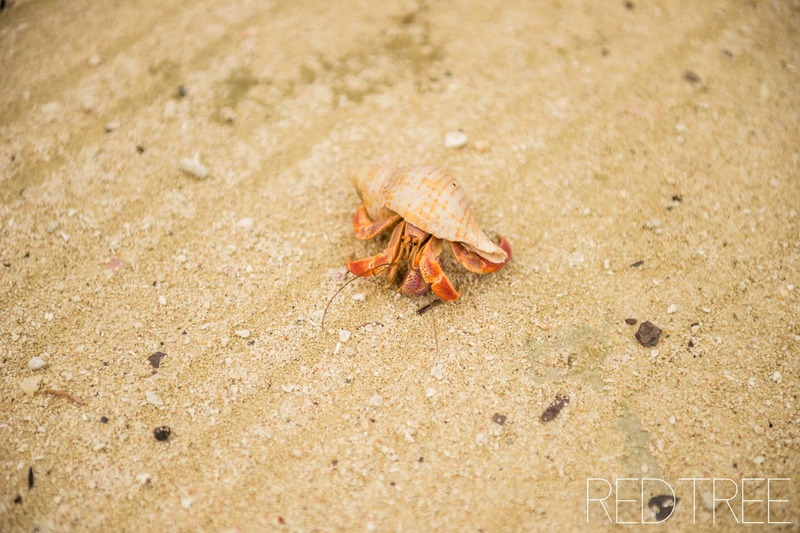 Who else wants to bring me along? 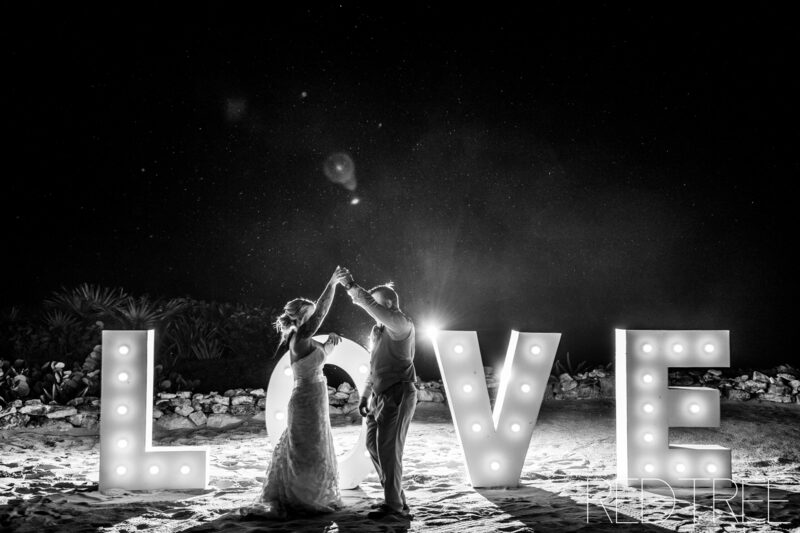 I’ll come in a heartbeat. 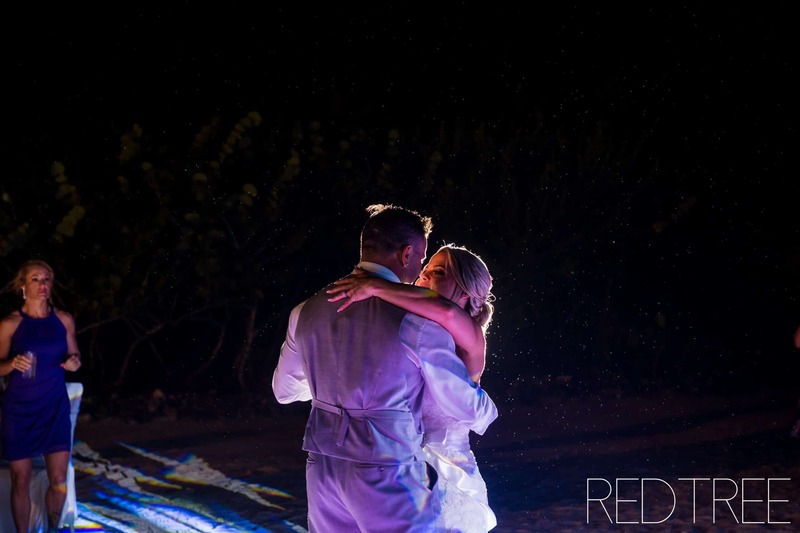 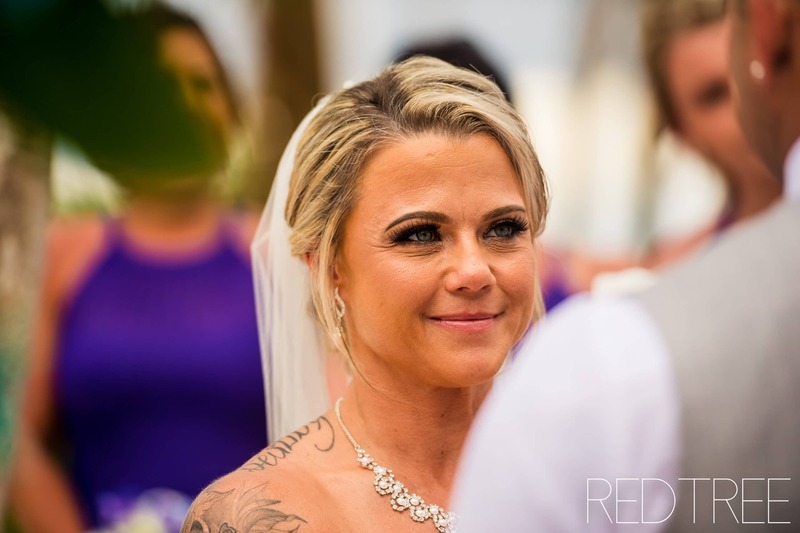 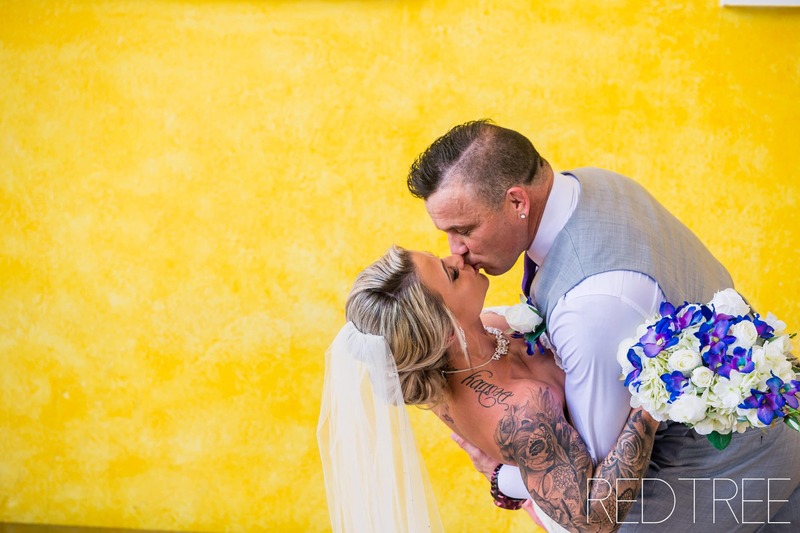 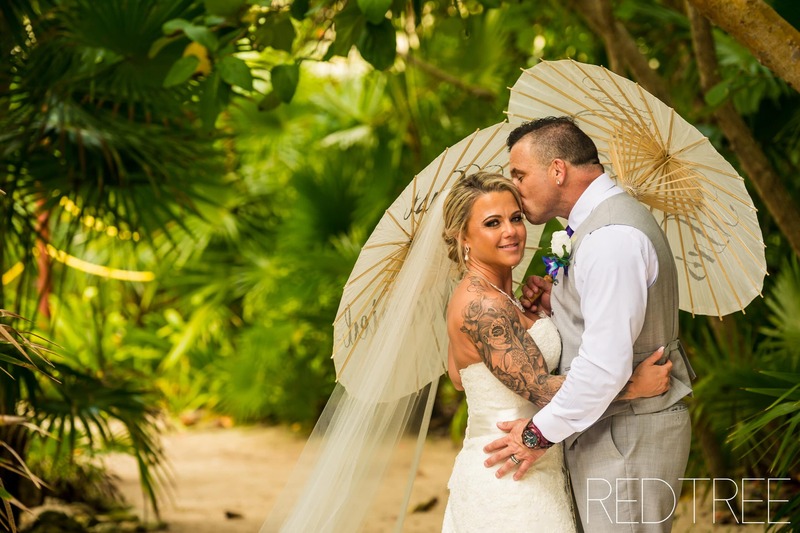 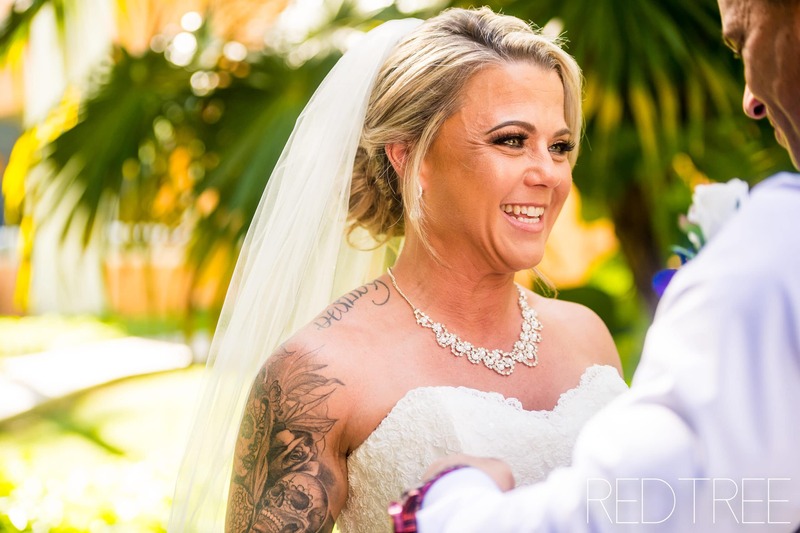 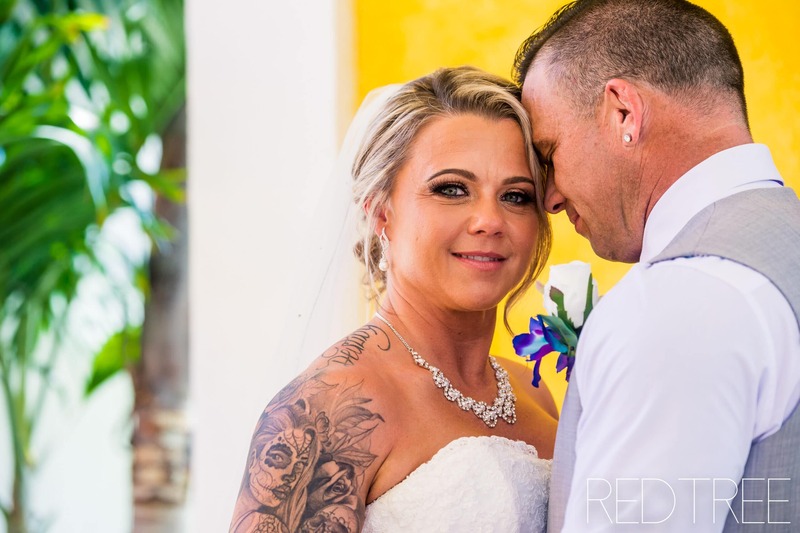 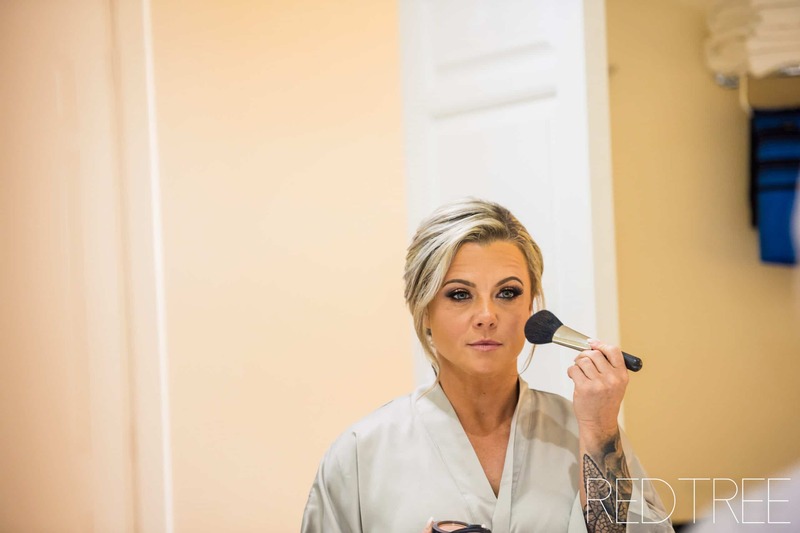 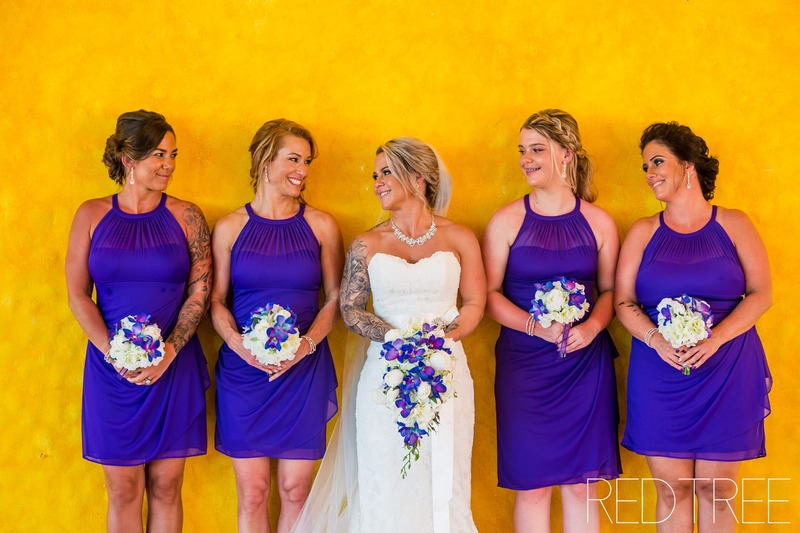 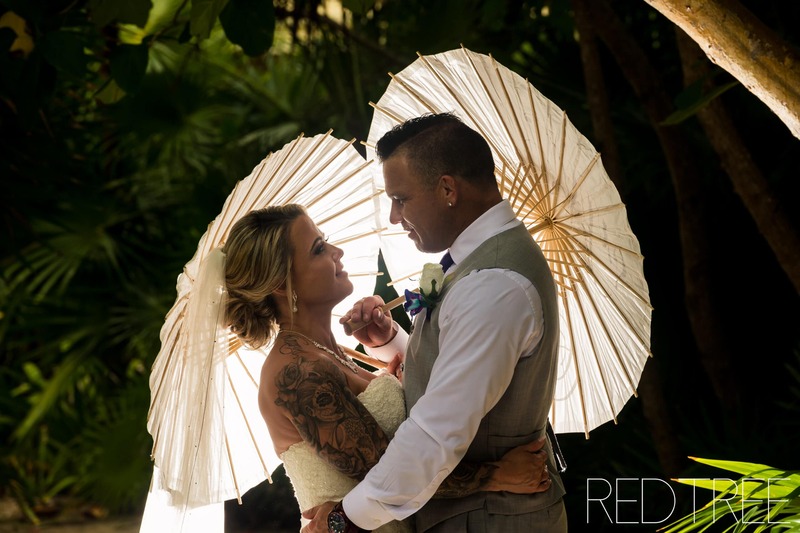 Amy was such a stunning bride, and we had amazing weather for their day – from extreme heat to a cloudy ceremony and even a little bit of rain during the dance! 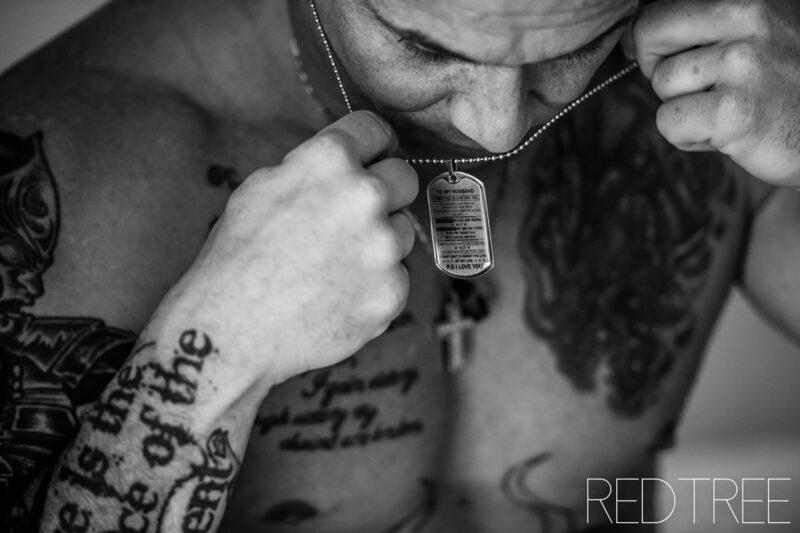 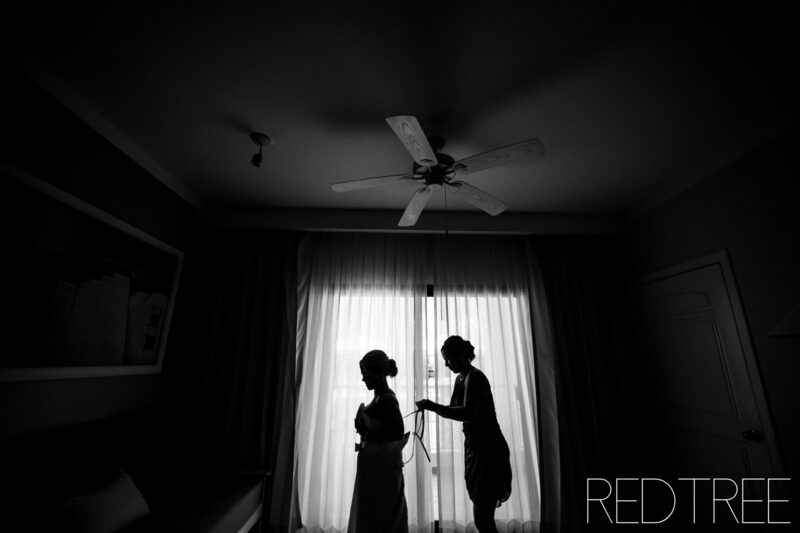 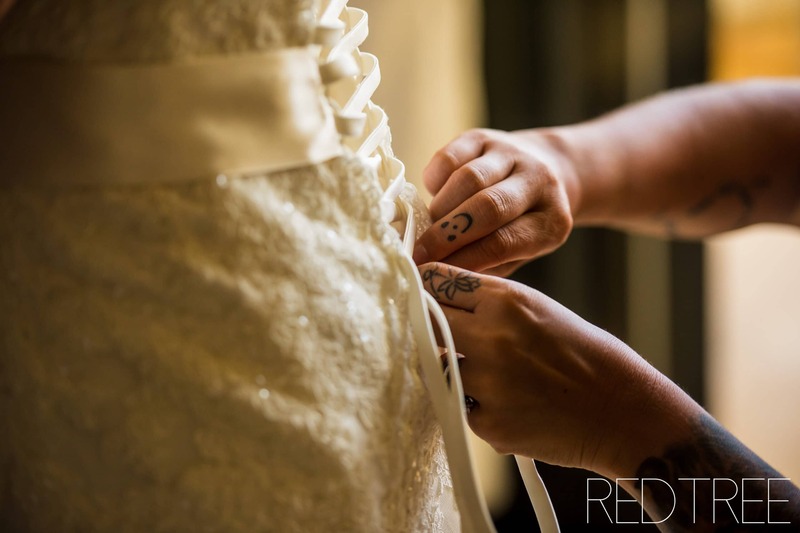 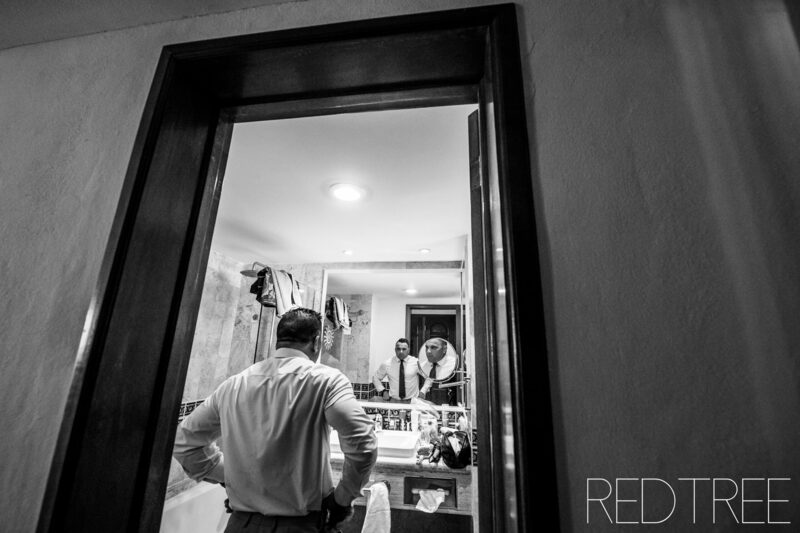 I am so excited to share some images from their wedding. 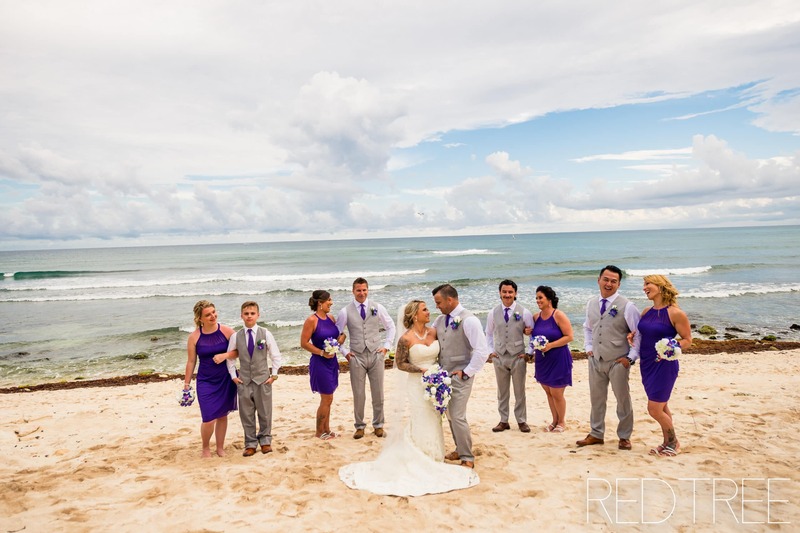 I started the day with Corey on the Akumal side, where they got ready. 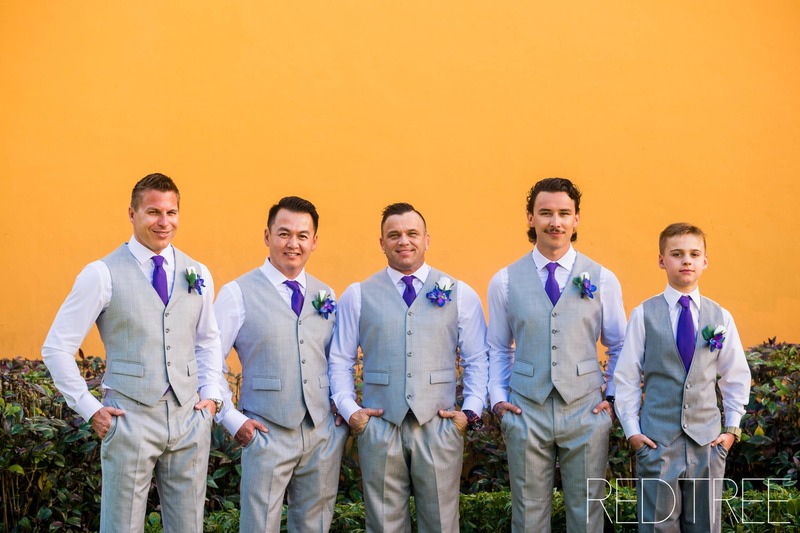 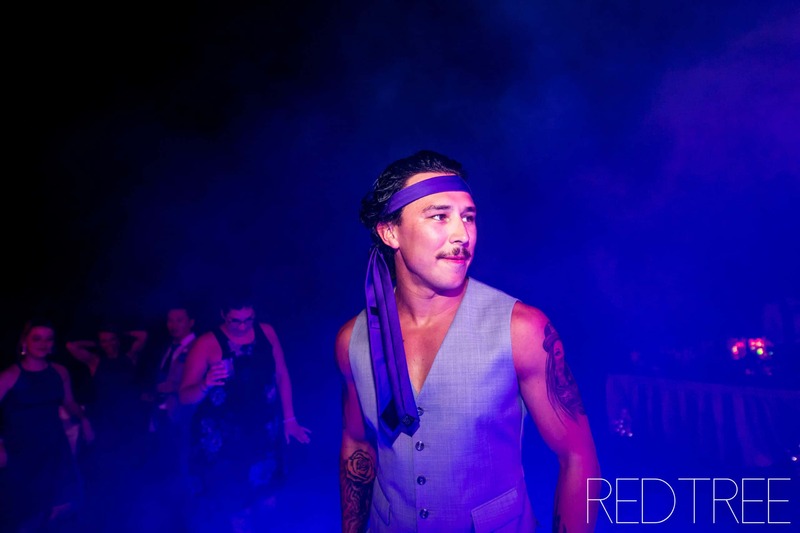 They were super efficient, so we even had time to do formals prior to me heading over to the ladies! 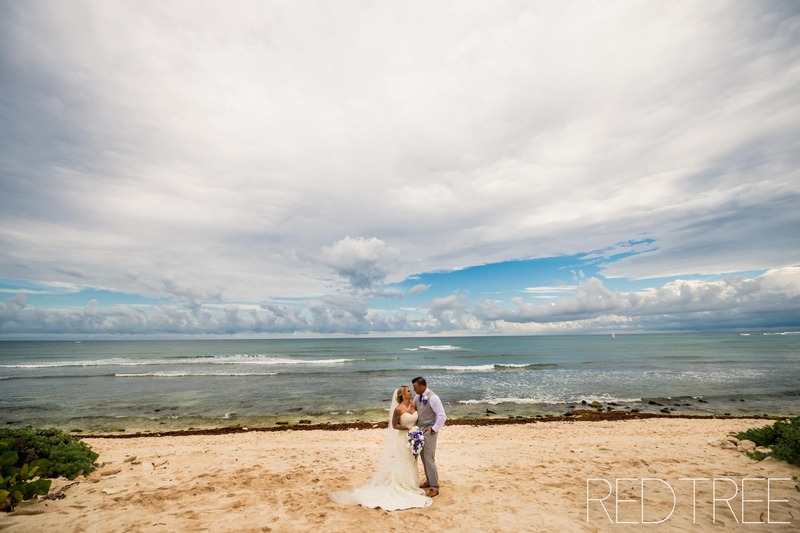 After I was done with the guys getting ready shots, I made my way over to Amy down by the beach on the Akumal side. 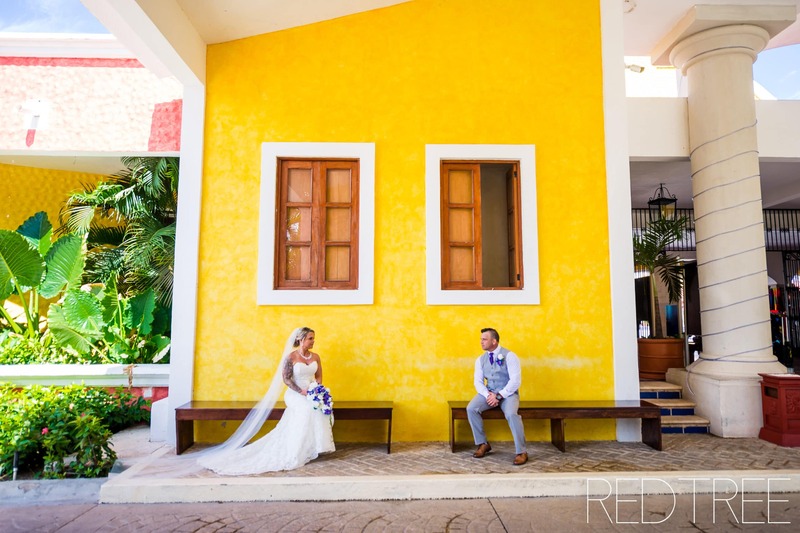 Amy & Corey opted to do a “first look” before we made our way over to the Hacienda, which was only a short tram ride away. 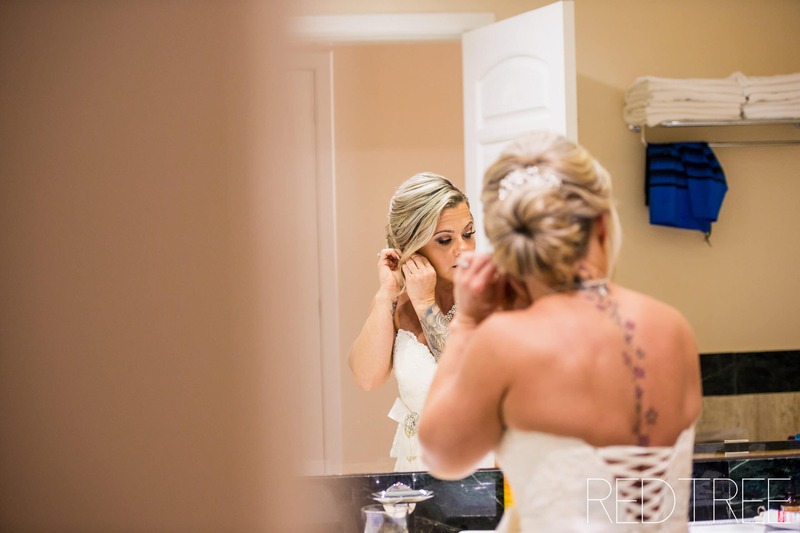 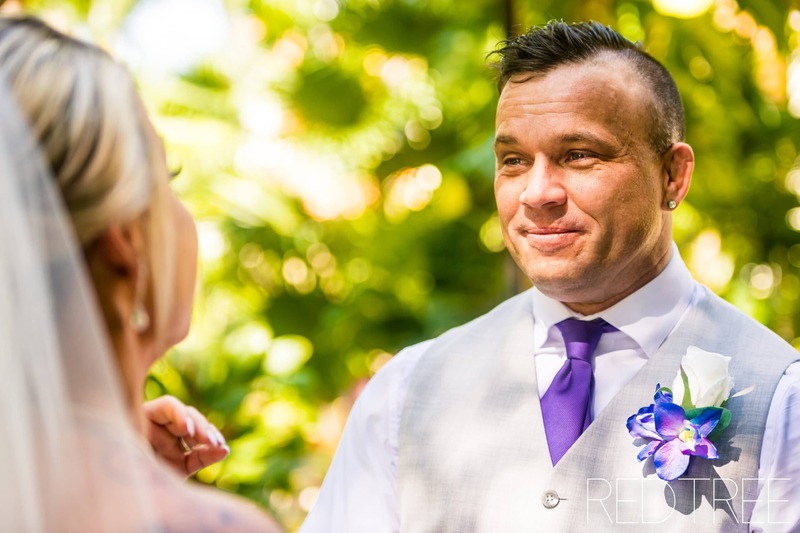 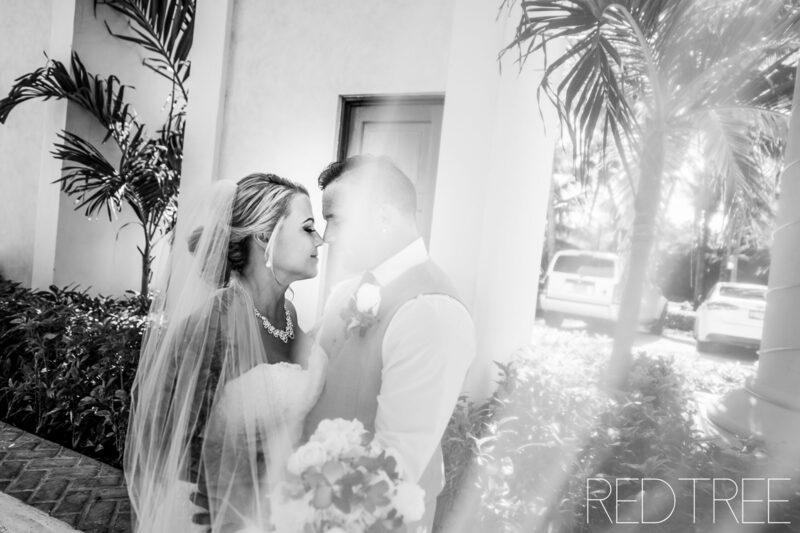 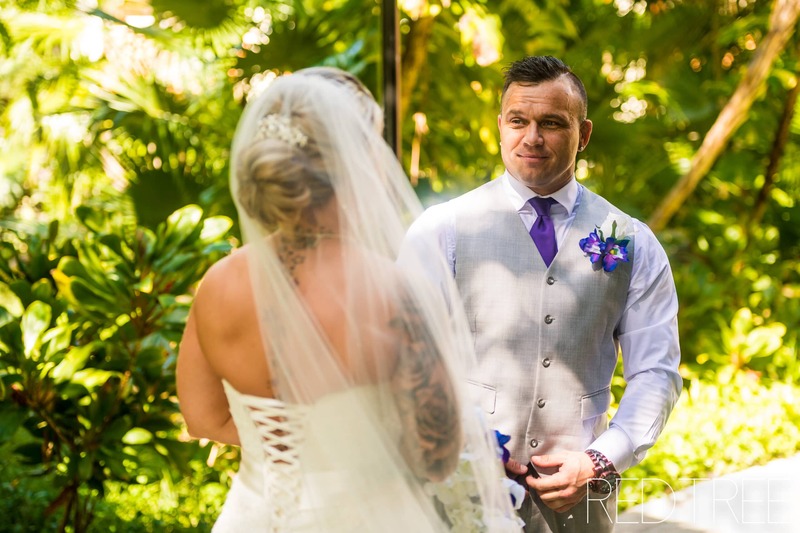 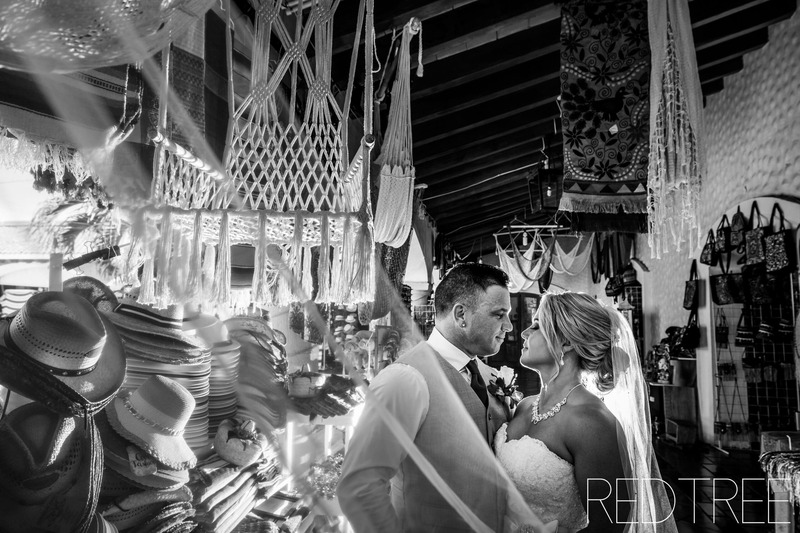 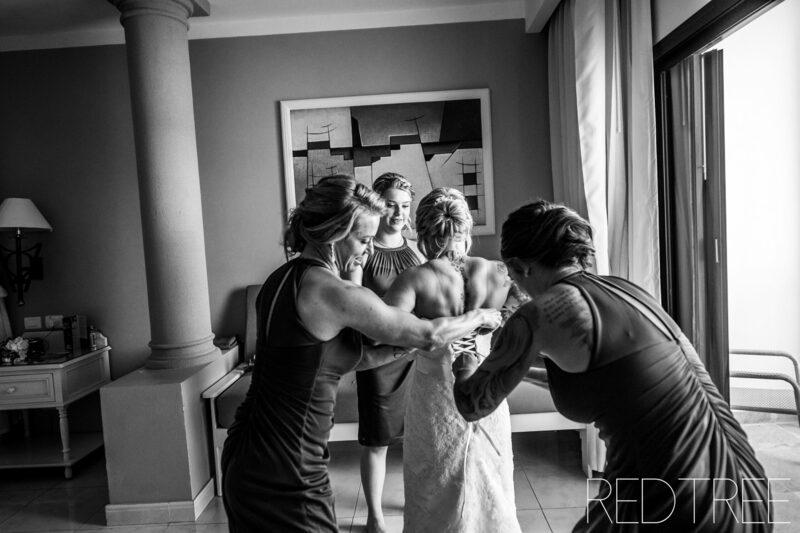 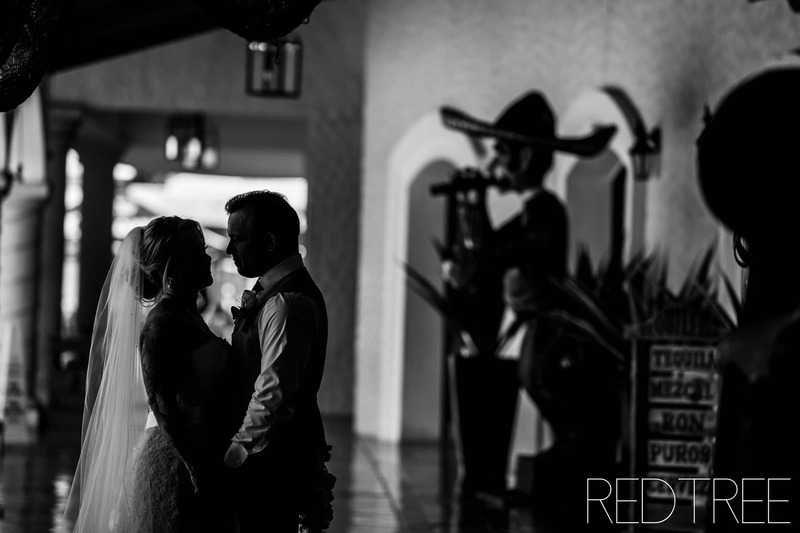 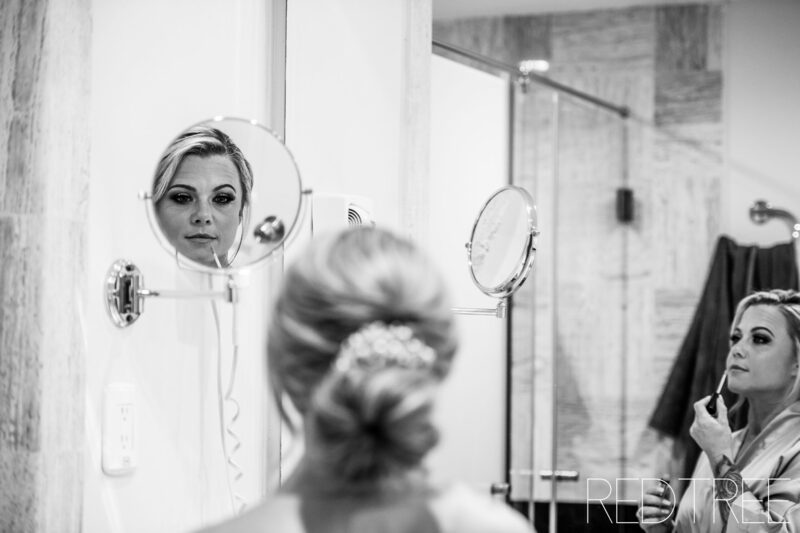 I LOVE it when my couples do a first look, since it is so intimate! 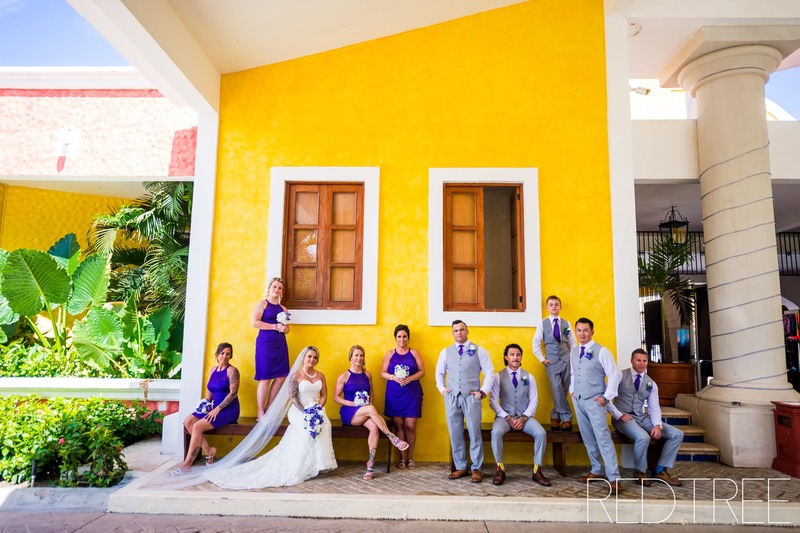 We did some formals at the Hacienda! 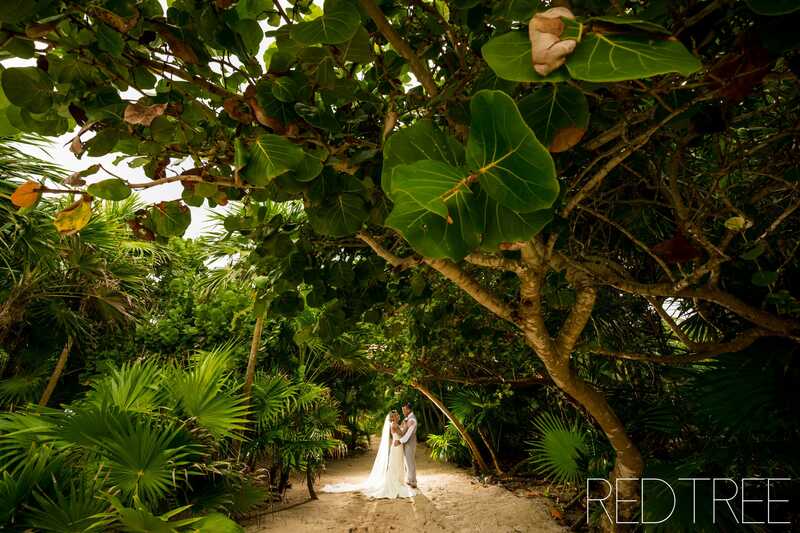 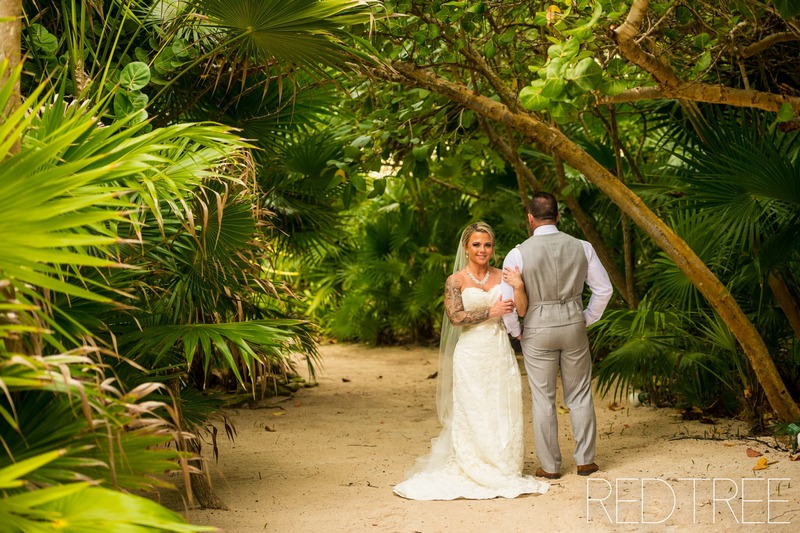 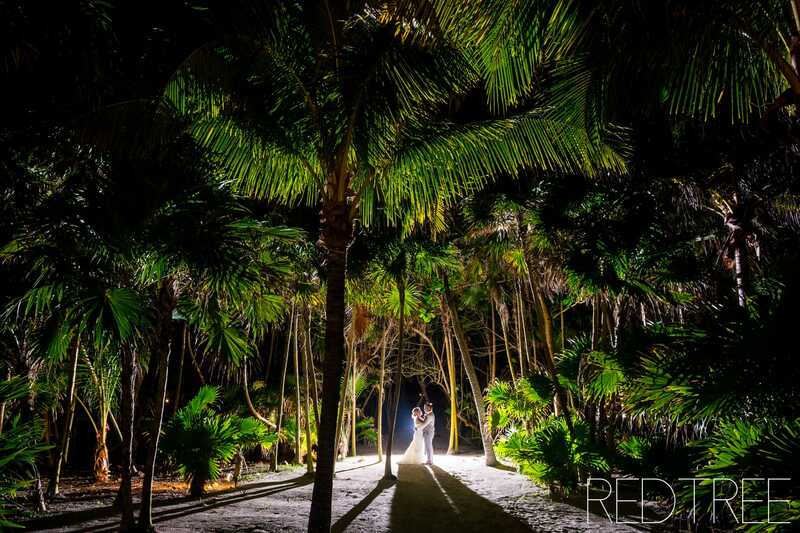 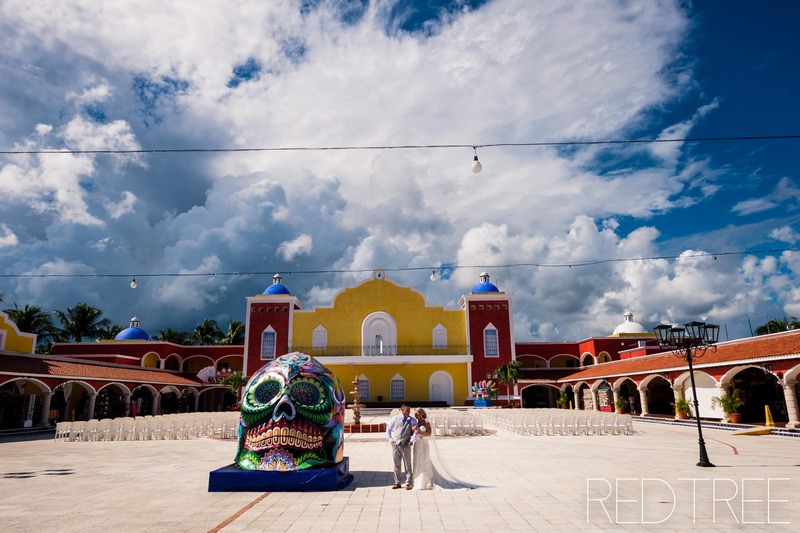 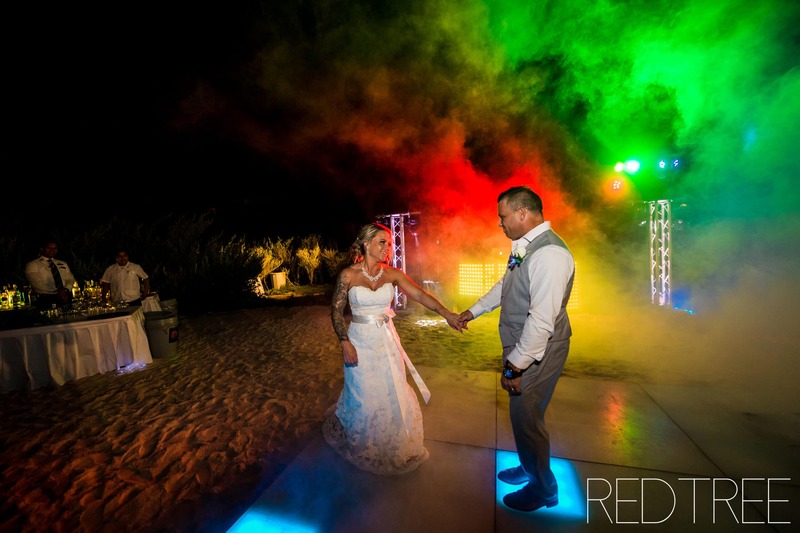 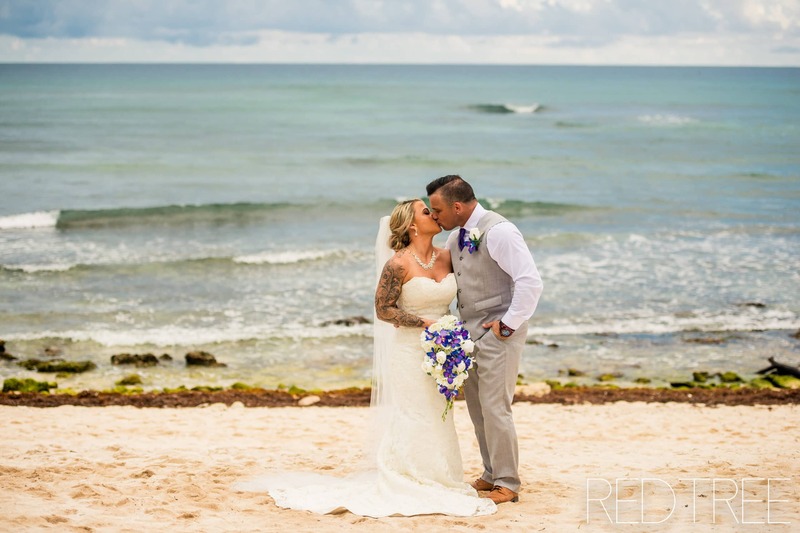 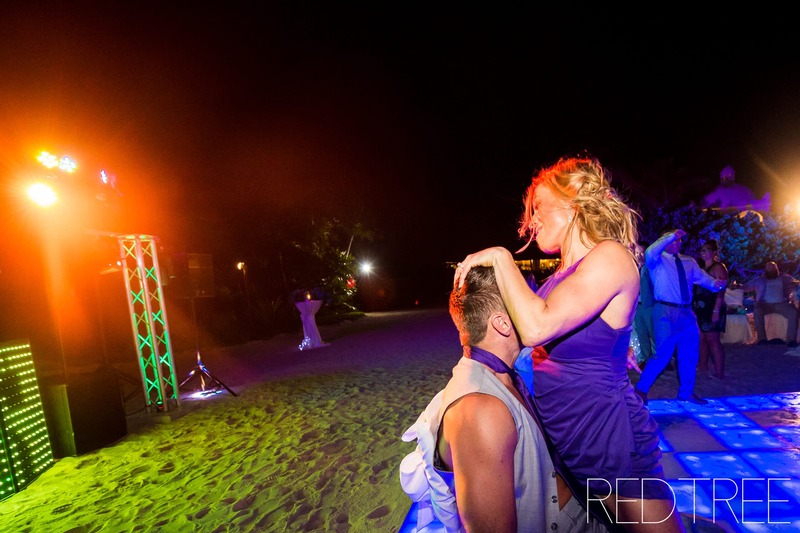 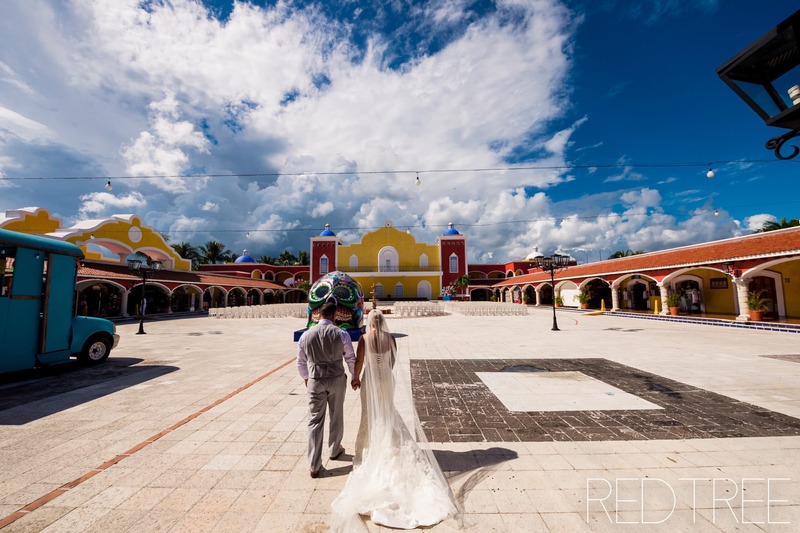 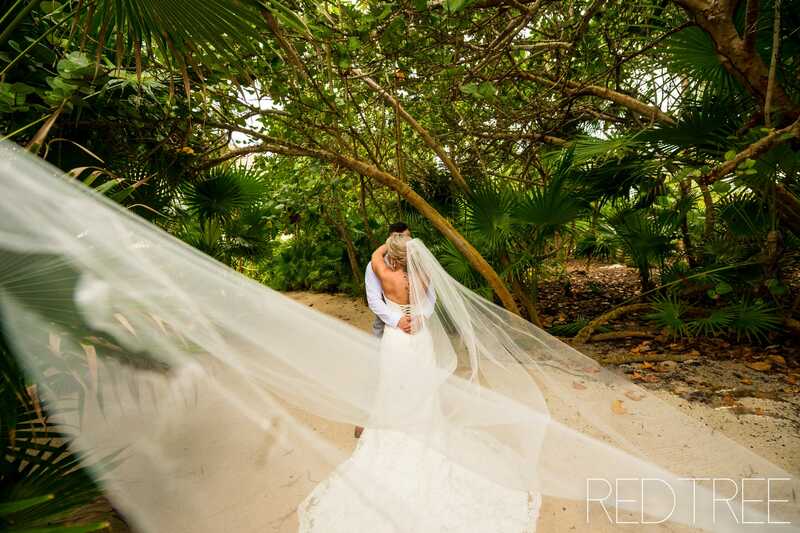 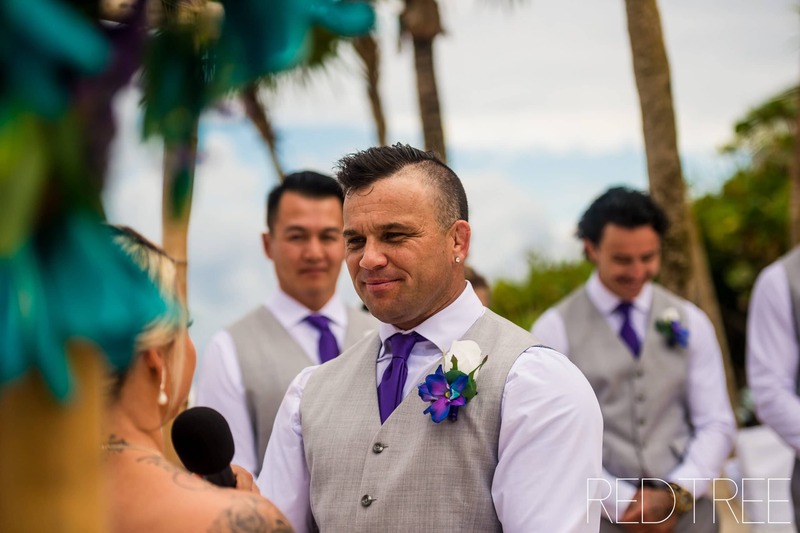 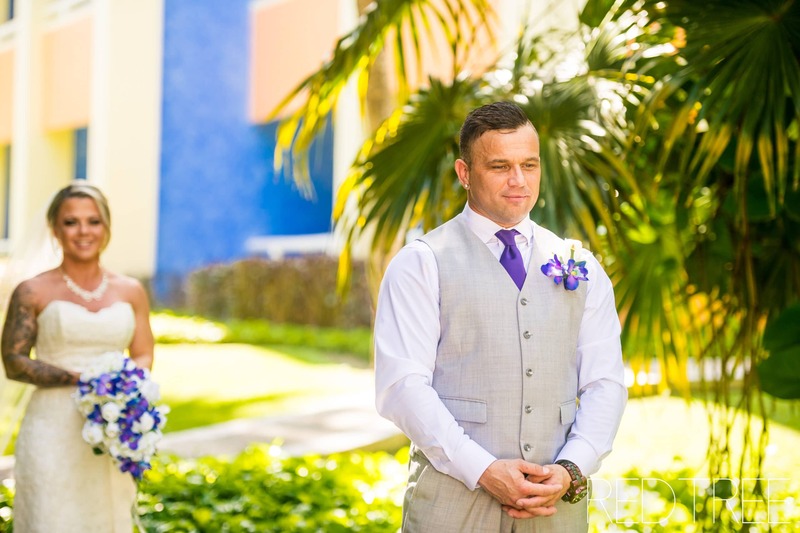 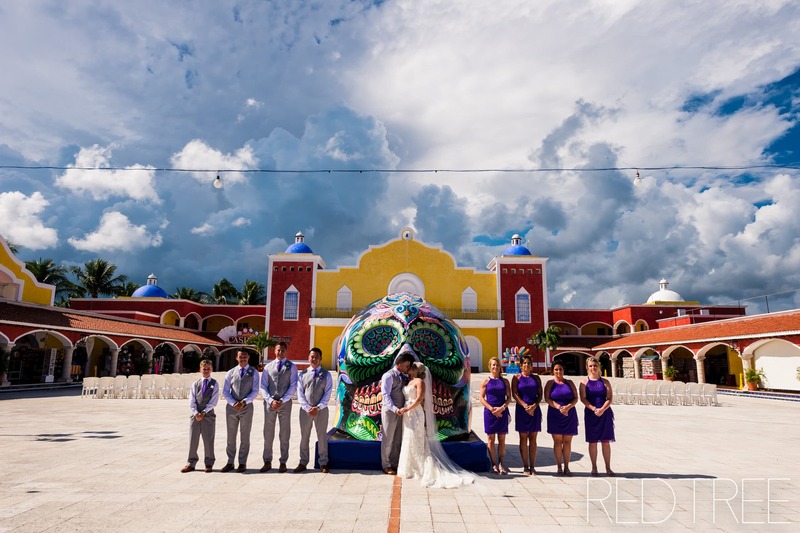 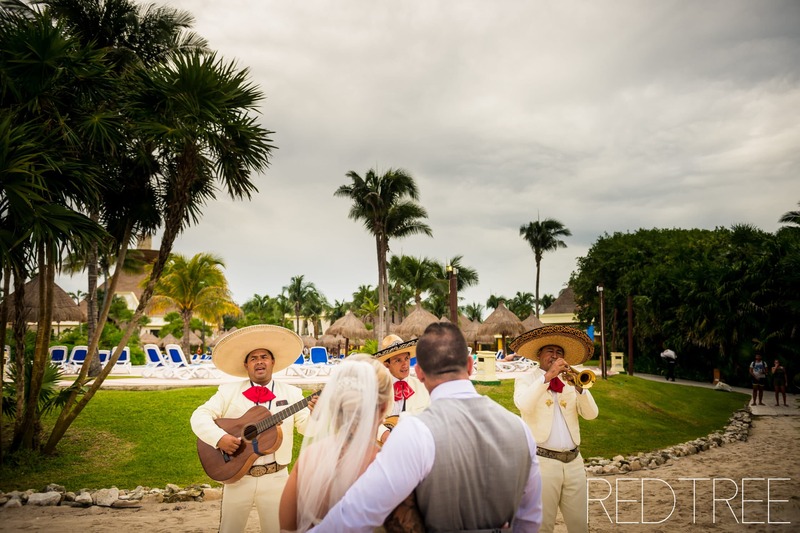 Finally, we made our way over to the Bahia Principe Tulum side for their ceremony on the beach next to the main pool! 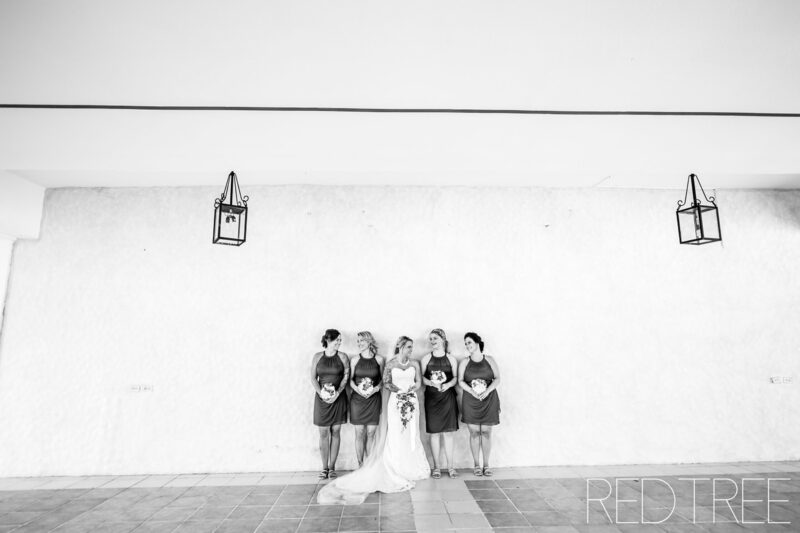 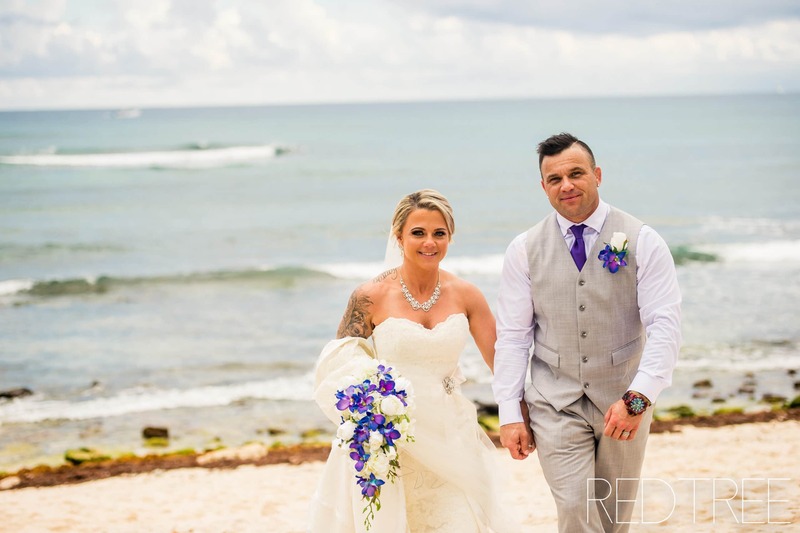 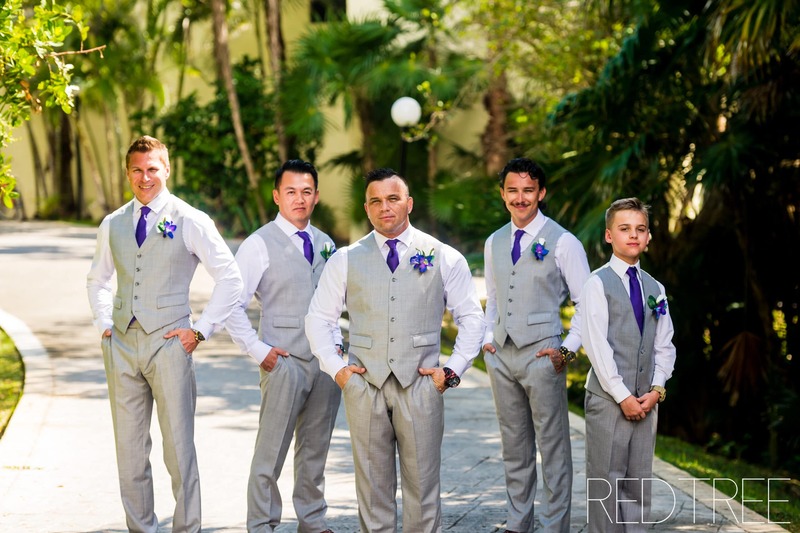 After the ceremony, we had some extra time to do some more formals on the Tulum side on the beach! 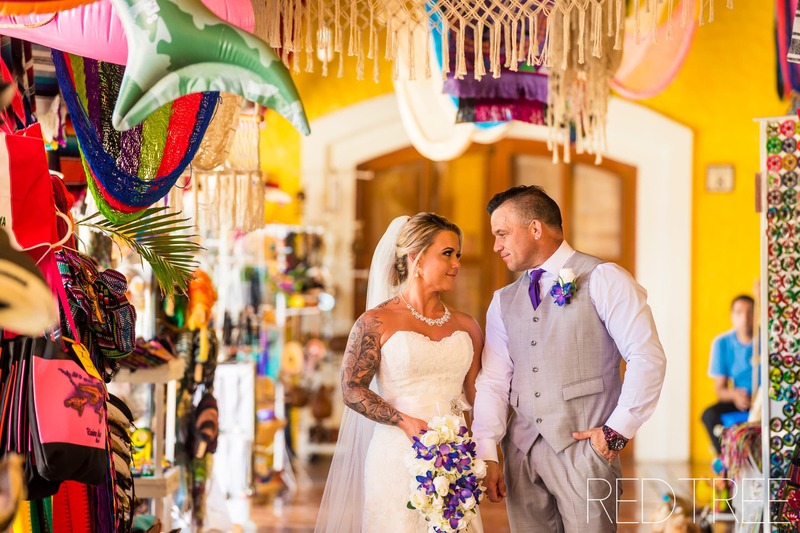 Finally, they had their dinner at the Grand Tortuga Restaurant and then we were shuttled back to the beach for their dance!